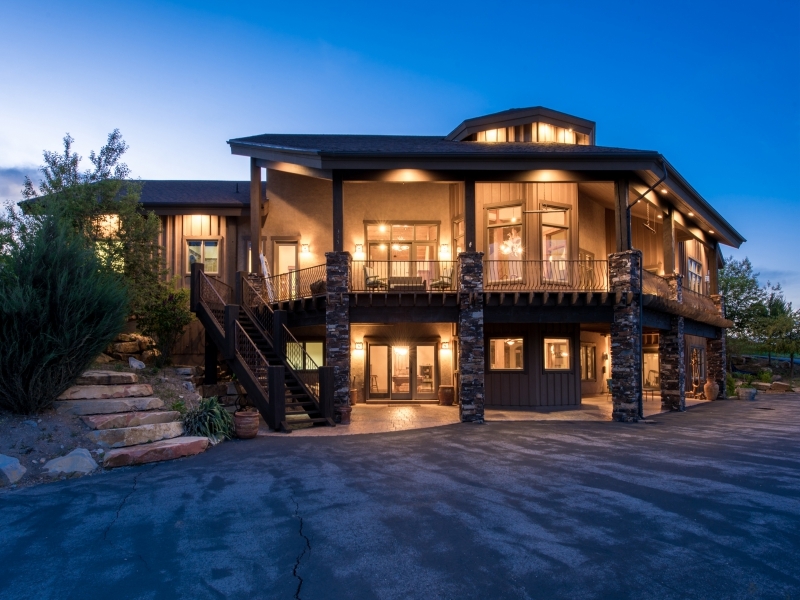 This 5 bedroom, 6 bedroom 5,850 square foot sprawling and luxurious property is situated perfectly atop Fox Hollow on 3.81 acres to enjoy expansive mountain and valley views. The quaint, private lane serves as access to just five homes set against the ridge. Offered for $980,000. 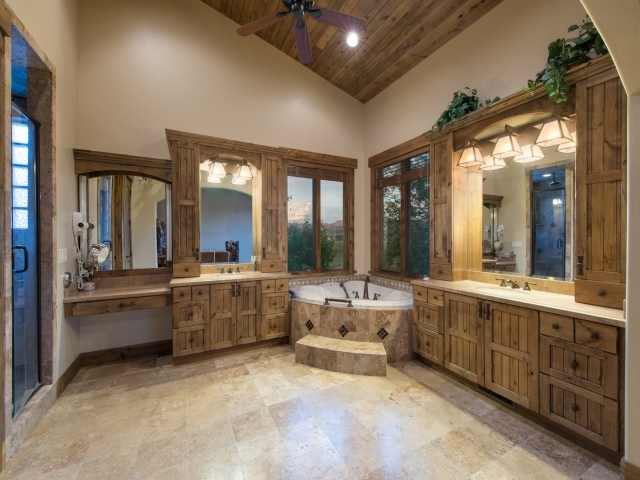 The exquisite and rich finishes include unique fixtures along with stone, granite, and wood combinations found only in the most high end Park City homes. 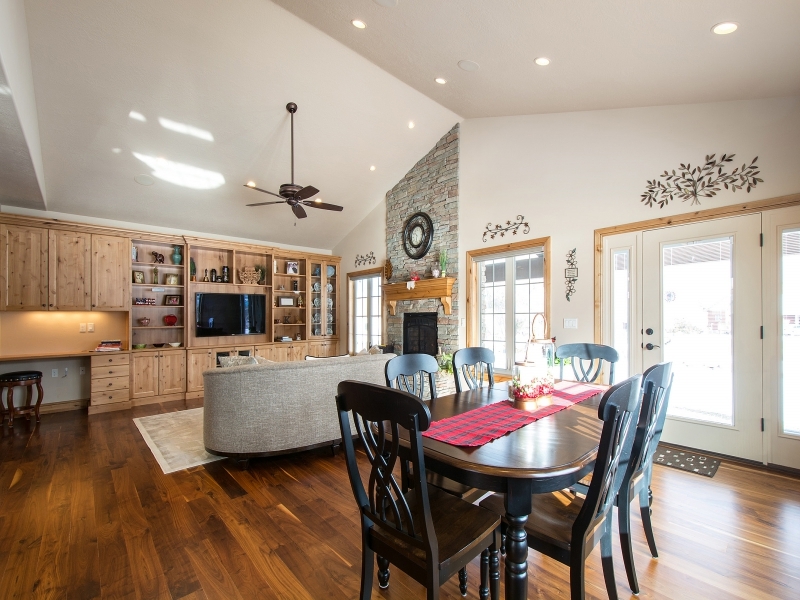 On center stage of the home is a floor to ceiling natural stone fireplace flanked by an octagon shaped dining space that is both spacious and intimate in design. 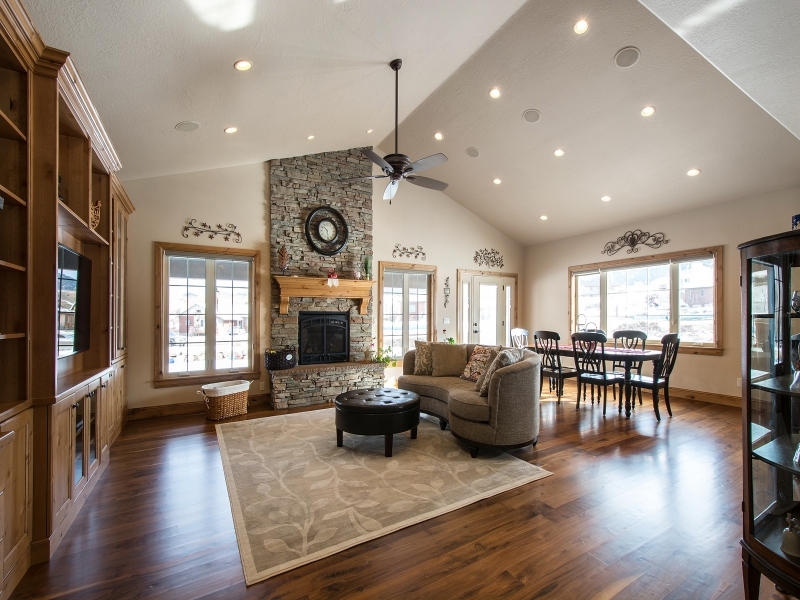 Full main floor master living flows effortlessly outdoors to an expansive covered deck so captivating views and outdoor dining can be enjoyed almost year round. Lower level includes 3 additional bedrooms and a one-of-a-kind bar/kitchen, media, and gaming area. 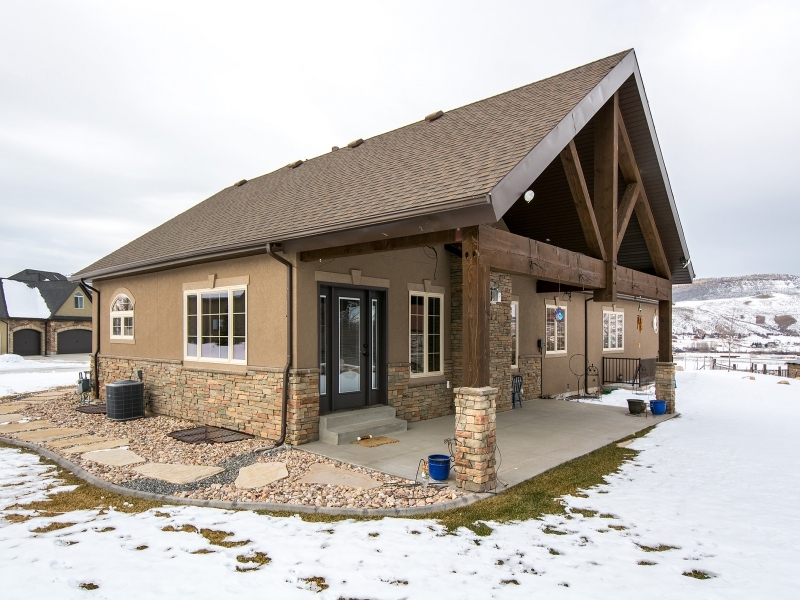 Enormous garage, driveway, and fully paved road encircle the home making it the perfect location for RV access and storage with pull through capability. 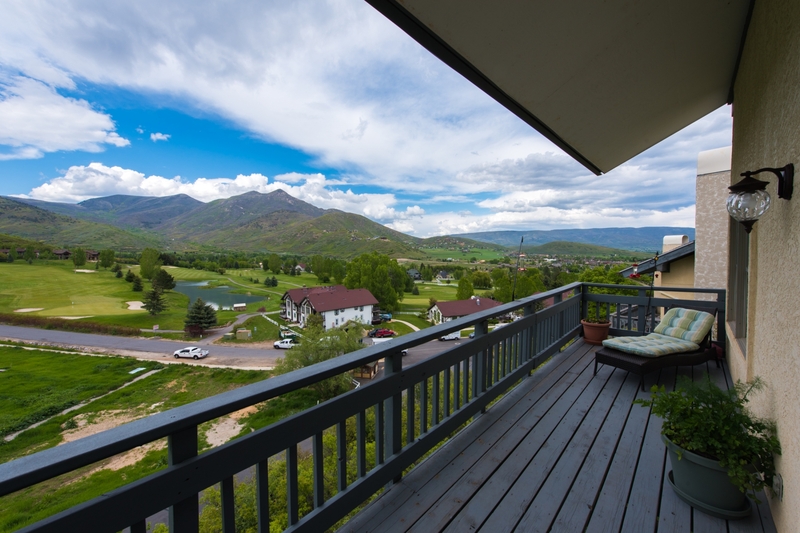 Posted in My listings | 0 Responses to "Iconic Mountain Estate with Unprecedented Views & Value"
Spectacular Midway Townhome! Exceptional Views. Exceptional Value. The rundown: Reduced to $289,000! 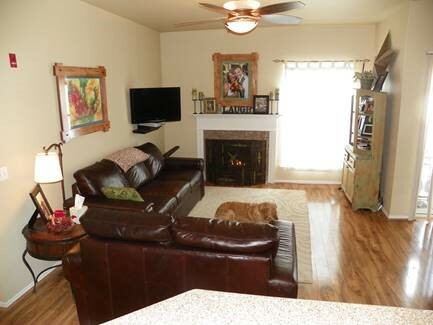 3 bedroom, 3 bath (one full, one 3/4, one half). 2,111 square feet. 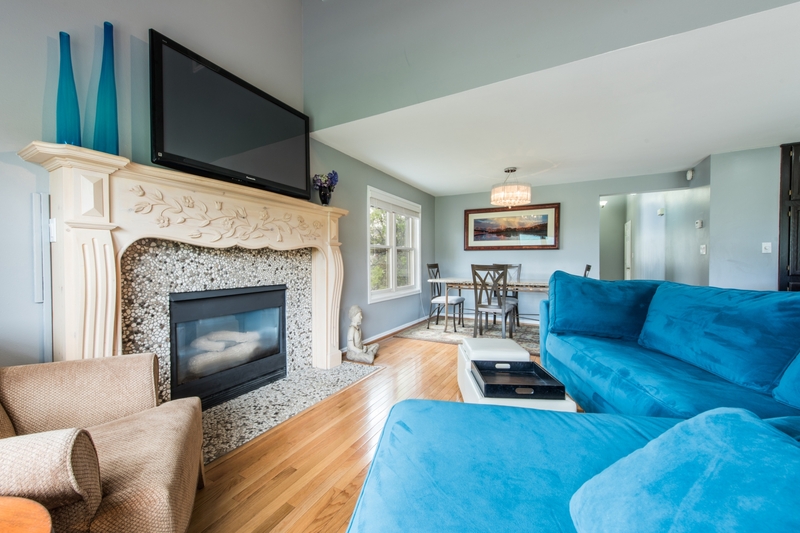 The ideal Midway townhome has just arrived, and just in time to enjoy summer in this relaxing get-away! 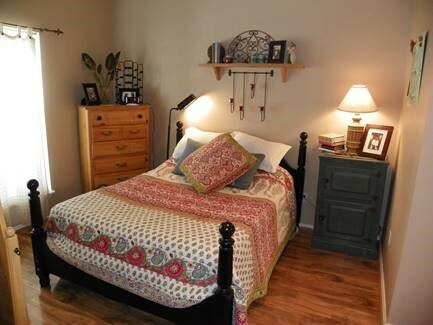 Perfect as a second home or primary residence, this property lives large with 3 spacious bedrooms, 2 of which could be the master, ample storage, and an attached garage. 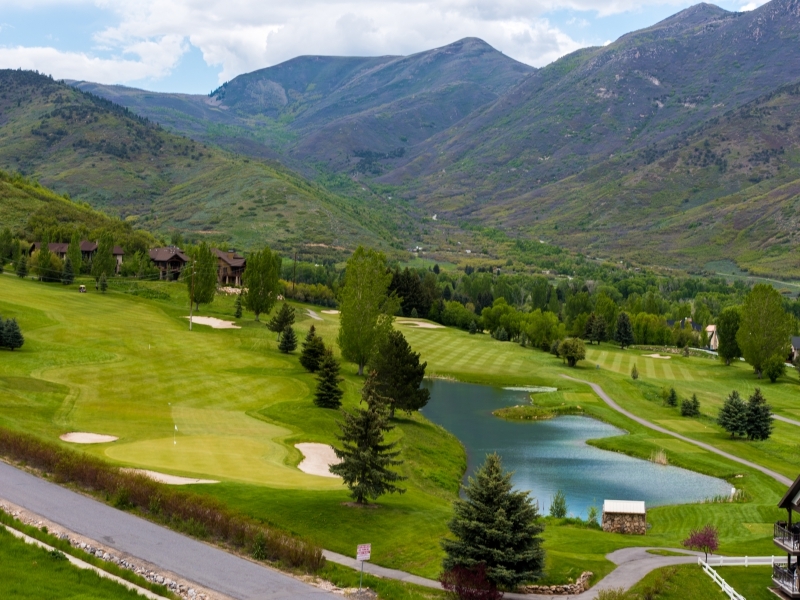 Two outdoor decks that take in breathtaking views of rugged mountains and sprawling greens of the Wasatch golf course. The location could demand a significant premium, but the price doesnt reflect it as the setting both behind and in front of this private twin home are unprecedented at this price point. 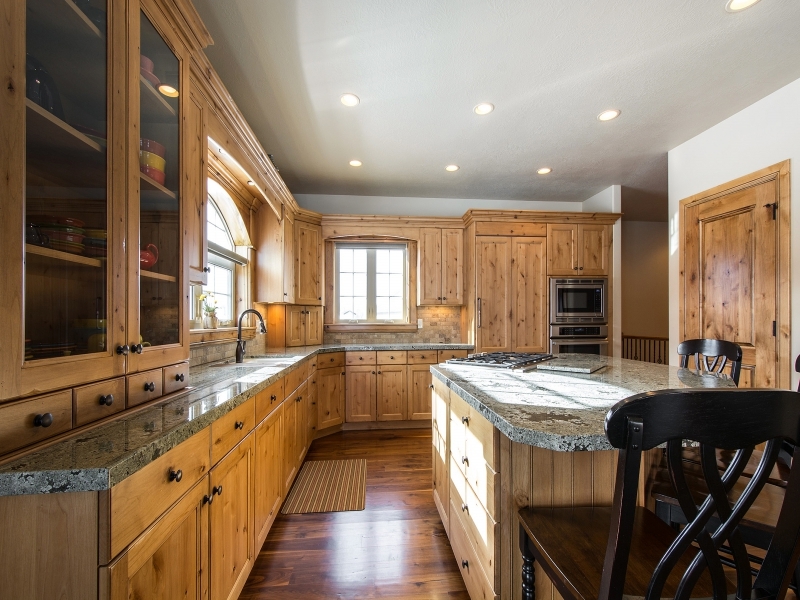 A fantastic kitchen with high end finishes and attached great room are flooded with sunlight and the attached deck beckons guests to easily flow inside and out. 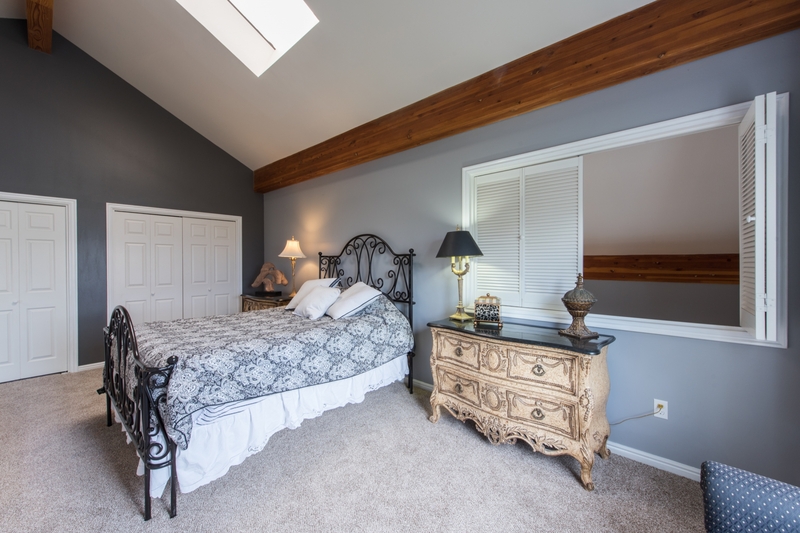 New renovations include paint; luxurious carpet; premium tile work; plantation shutters; and updated fixtures throughout. Neat as a pin and ready for a new owner! 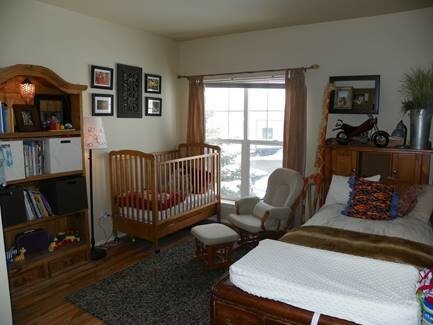 Posted in My listings | 0 Responses to "Spectacular Midway Townhome! Exceptional Views. Exceptional Value." Like a perfect steak  this property is rare and delicious! Heres your chance to own an incredibly unique 2 bedroom townhome in Canyon Creek with ATTACHED garage and GIGANTIC views from this top floor property. 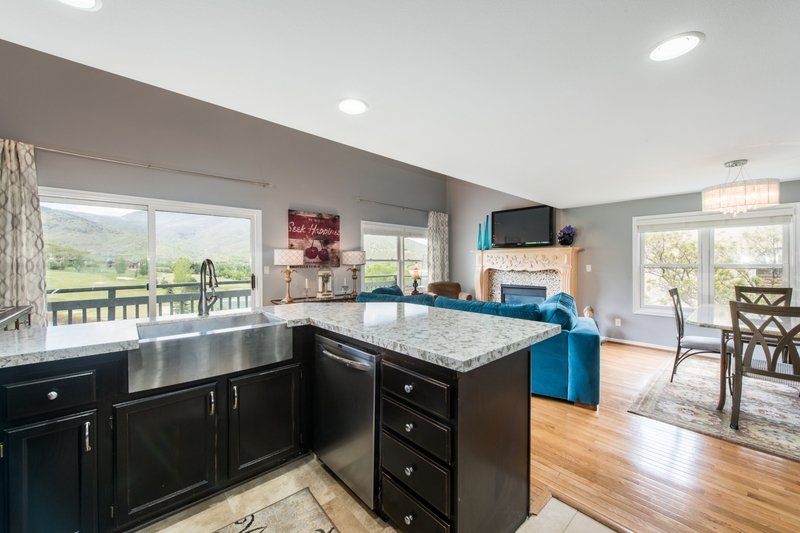 Situated just steps from the clubhouse and pool, overlooking the grassy open space, this home is perfectly renovated with updated finishes and flooring throughout. Bedrooms flank the main living space, giving privacy and separation to each bedroom. 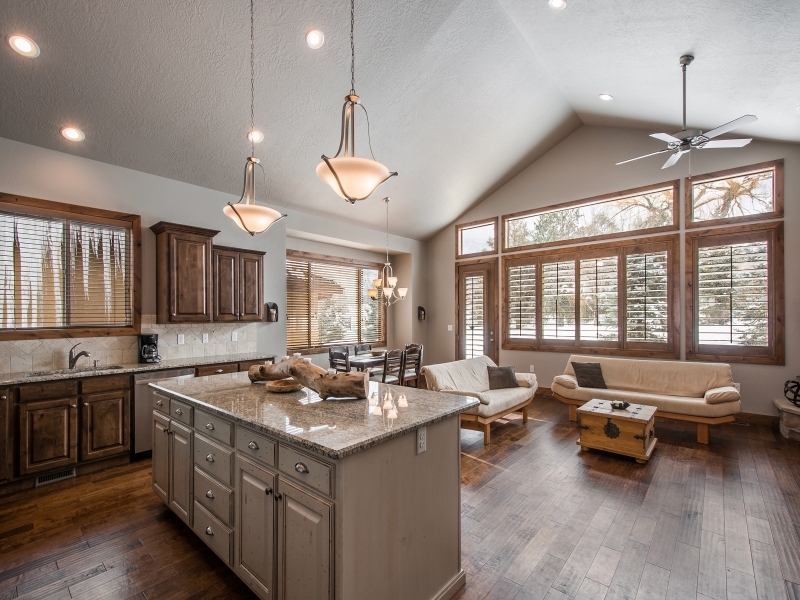 Light and bright with vaulted ceilings and mountain views from the attached deck. On bus route and short stroll to Redstone via the pedestrian walkway. The icing on top is the aggressive price. Priced TO SELL quickly! 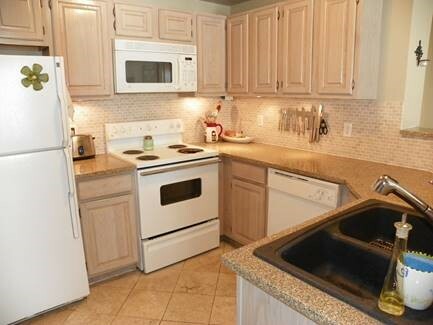 Posted in My listings | 0 Responses to "Like a perfect steak  this property is rare and delicious!" Park City Municipal Community News Interview Park City Municipal Corporation: Our three entitiesthe two resorts and the city governmentare part of one ecosystem. How do the two of you work together? Bill Rock: Bob has been an incredible partner, and Id like to thank him personally. Hes been very helpful in introducing us to the Park City community, at both the personal and company levels. This is what makes Utah skiing really special: everybody sees the big picture and understands that when we all do well we all do well. Bob has been a fantastic proponent of this, and its been great working together. Bob Wheaton: Well, thanks Bill. I agree. Its been easy for mefor usbecause one good thing about the ski industry is its a pretty small deal. Everybody knows everybody, so you can get to know people over time and watch their progress. Bill and I have known each other for years through the industry, so, like I said, its been easy for me. PCMC: How about working with the city? Wheaton: Ive never been in another ski resort community that functions nearly as well as Park City, in terms of the relationships among the municipality and the resorts. 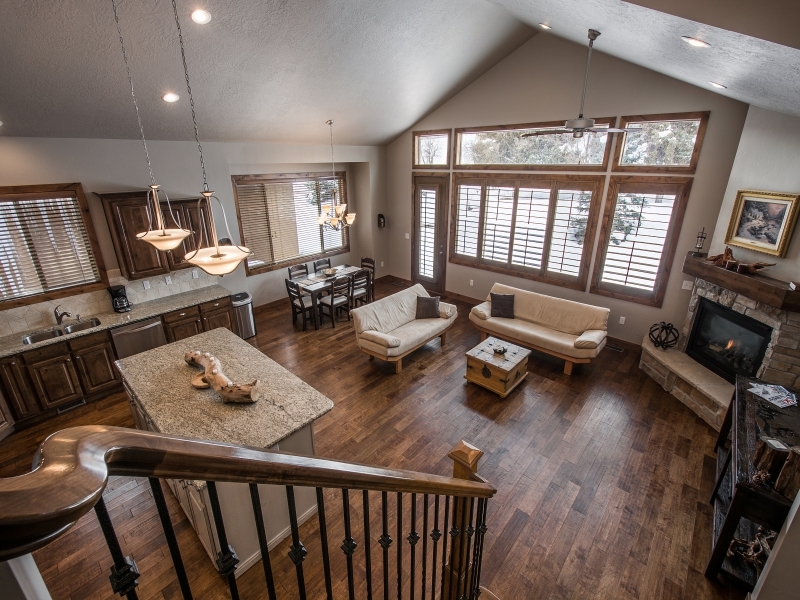 Rock: Our guests come to Park City as a destination because its a complete experience. 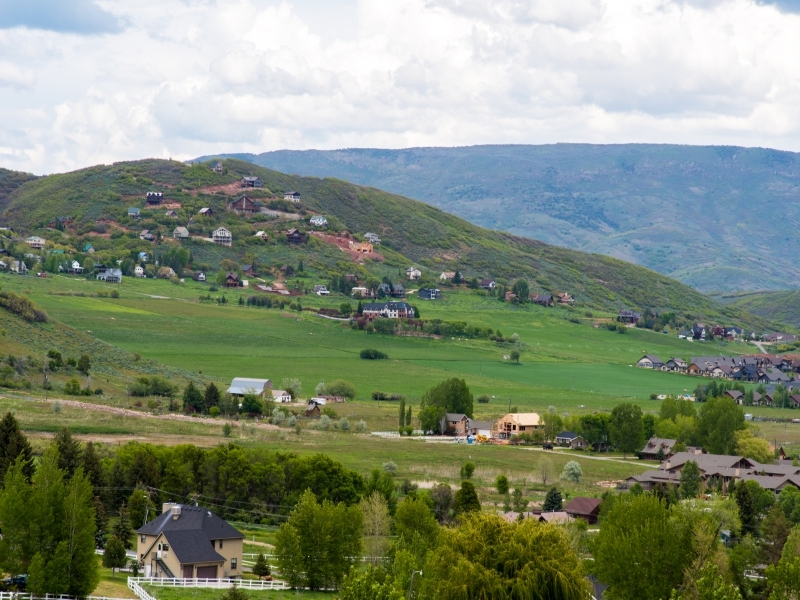 Theres a reason why our resorts tagline is Theres only one: theres only one Park City. 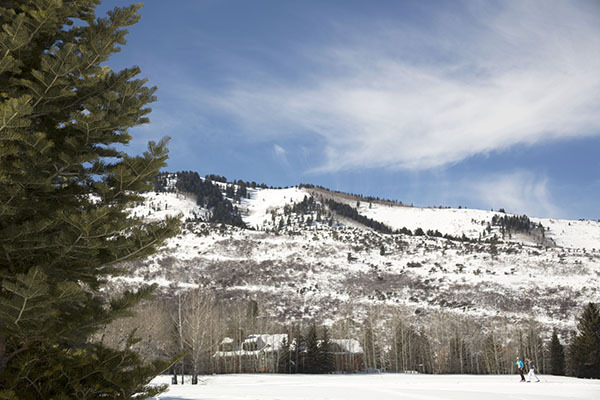 It has all the right ingredients: airport access, Utah snow, Park City Mountain, Deer Valley, Main Street. These are all components of the vacation. Collectively its the most compelling ski destination in the U.S., as far as Im concerned. The fact that people can sample two different ski experiences is a huge advantage, and I havent even mentioned the resorts on the front of the range. Wheaton: Its this very thing that brought my wife and me to Park City 36 years ago. Park City is great, and its kind of the epicenter: Snowbird, Alta, Brighton, and Solitude are all close by, as are Snowbasin and Powder Mountain. Bill, I havent told you this story before, but one of the highlights of my previous ski season was bringing Solitude online. One day I rode the lift at Solitude with three guys who were visiting for a long weekend. They had skied the day before at Park City Mountain, and they could not stop talking about the terrain. They said, and this is almost an exact quote, There is no way that we could have skied every lift but we tried to hit all of the areas. I asked if they were able to make it back to their car, and they said, Oh no, there was not enough time to do that. They had parked at Canyons, but ended up on the Park City side. So they said they took the bus back and it was great. This is just a great example of integration and cooperation of everyone involved. If those guys had had a great time on the mountain but a crummy time getting back to their car, it would have spoiled their entire day. And I might add they had a great day at Solitude. PCMC: What do you think, then, about the One Wasatch concept? Rock: I think its a great idea. When we linked our two resorts, we essentially made the first connection. Weve seen firsthand what a connection can do and how people respond to it. Wheaton: I agree. And the resorts in each of the two canyons on the front of the range Brighton and Solitude and Alta and Snowbird are already connected. So its really just a matter of canyon-to-canyon at this point. 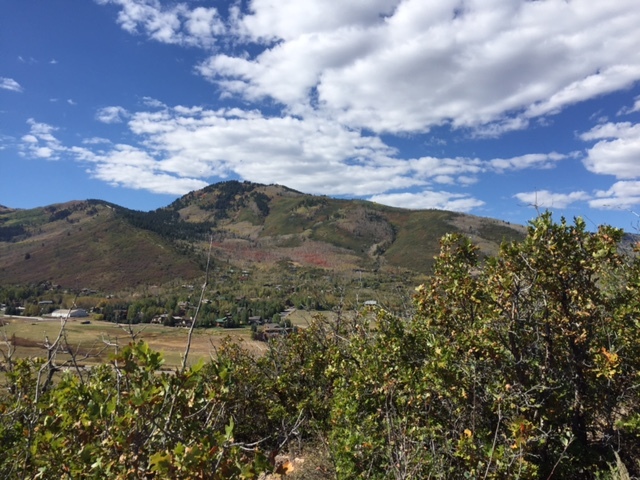 PCMC: Could Deer Valley and Park City Mountain be easily connected? Wheaton: Yes, and thats not by accident. PCMC: How did that come about? Wheaton: It was the same year that Empire and McConkies went in. Phil Jones was my counterpart at PCMR, and Billy Gray was their heavy-equipment operator. Chuck English wasstill isour director of mountain operations. The four of us spent a lot of time up on that ridge (where the two resorts abut) because we did not want to design ourselves out of the possibility of connecting in the future. This is why all those lifts are laid out the way they are. Once we put in Empire Canyon (or Empire Express) and PCMR put in McConkies, we actually had to adjust the property lines a little bit so that we could put the lifts where they really belonged, from a mountain-user standpoint. We designed it so thatwith half a day and a decent-sized dozerwed be connected. It goes back to the whole idea of cooperationit didnt just start with Bill and me. PCMC: How did your resorts do this past season, numbers-wise? 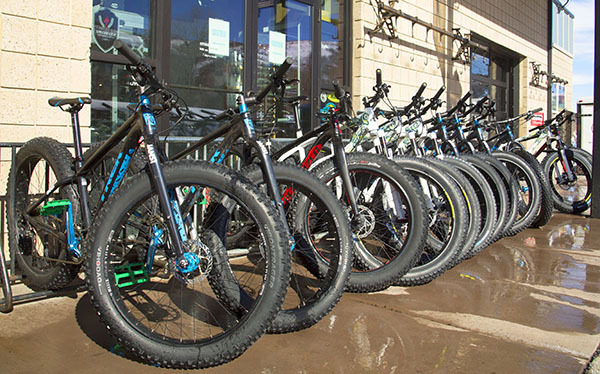 Rock: Park City Mountain had double-digit growth, double-digit skier day growth. 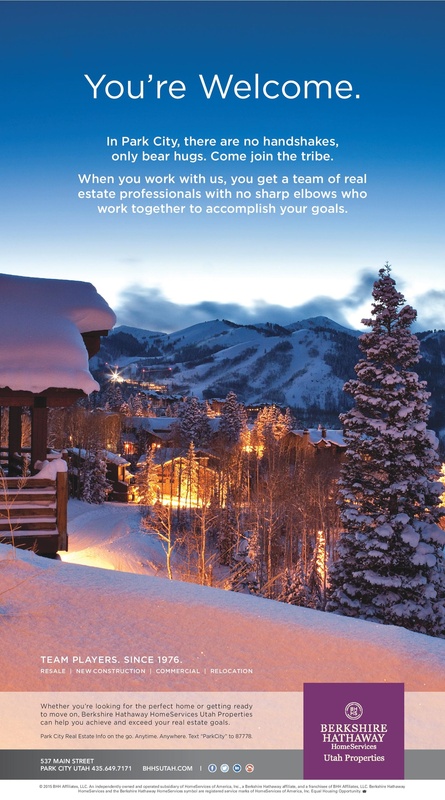 PCMC: What about Deer Valley. PCMC: Thats pretty impressive. To what do you attribute it? Rock: The return of good snow conditions certainly helped. We also spent $50-million over the summer to create the largest resort in the country. I think that message resonated around the world, and people wanted to come check it out. Wheaton: When were talking about snow conditions, average is just fine. PCMC: Do you each have a personal highlight from the past season? Rock: Mine was cutting the ribbon on all the improvements, particularly the gondola. That day was really special. Our whole team took a lot of pride in it, and it was a fun day. Wheaton: I have two highlightsone at each end of the spectrum. The first was the amount of powder days that we had and just the great ski season overall. The other was the windstorm during Presidents Day week. Thousands of trees were downedfrom one end of the resort to the other, across ski runs and everywhere else. My highlight was watching the staff focus on guest service, and observing the cooperation and integration among all the departments. We were able to fire some of those lifts back up by 2:00 pm. It was incredible to watchit really was. PCMC: The City has recognized three critical priorities of the community: housing, transportation, and energy (reduction, renewables, and net-zero carbon emissions). 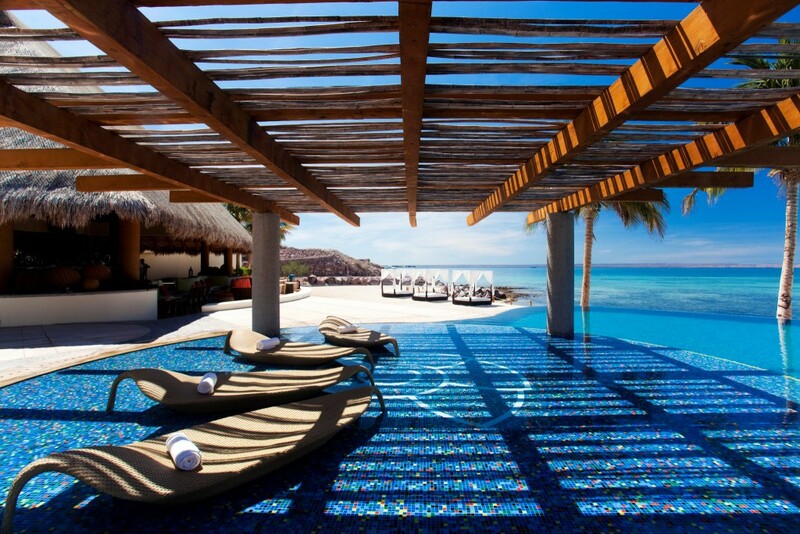 How do these align with your resorts goals and operations? Wheaton: These are three of our highest goals as well. And we need to recognize that the best solution for any of them is a collective one between Summit County, Park City, Park City Mountain, and Deer Valley. If the community can unify behind them, we can make a hell of a difference. Rock: Weve rolled out several company-wide initiatives that align with the citys priorities. Housing is, for sure, front and center in our planning. We have very limited employee housing, and weve pledged $30-million across our mountain communities for potential housing projects. Were in the process of identifying partners here in Park City to help us effectively deploy the money. And were already working closely with the city and county on transportation. The resorts parking staff and city transportation staff did things theyd never done before this past season to collectively address the issues. And I think it made a huge difference. Weve also developed solutions specific for our employeesremote parking, shuttles, transit, you name it. In terms of energy reduction, we set a companywide reduction goal of 10 percent, which we met in 2011, so we launched another program called the Next Ten. Were focusing on everything from fuel use to making our infrastructure more efficient. PCMC: Summit Community Power Works, a local nonprofit, has made a big push to have businesses and residents switch out their light bulbs for LEDs. Are you doing this in your operations? Rock: Yes, weve done pretty aggressive LED switch-outs. We also launched a program supporting SCPW and their goal of meeting the Georgetown Energy Prize. We partnered with Rocky Mountain Power to provide each employee with four free LEDs. Were also helping fund smart thermostats: between the manufacturer rebate and our rebate, our employees can purchase them for less than halfprice. Wheaton: The LED switch is a great program. The bulbs cost money upfront, but with all of the incentives through Rocky Mountain Power, they become affordable. And thats not even considering the labor savingsespecially for businesses with larger facilities. In bigger buildings, its not just a matter of standing on the floor and reaching up to change a bulb. You often need a ladder or lift, so doing it once and forgetting about it for 20 years is attractive. And the energy savings are immediately noticeable and trackable: thats what makes them a prudent investment. PCMC: Your single biggest use of energy is probably snowmaking, but this is essential to the customer experience. Rock: Absolutely. One of the things our guests look forward to is consistency, especially with conditions. The good news is that snowmaking technology has gotten very efficient, so a key part of our energy-reduction plan is upgrading our equipment to keep pace with the state-of-the-art technology. Bobs the real expert on this. Wheaton: Snowmaking technology has just boomed, especially in the last five years, so new equipment will be our single biggest capital investment this summer. PCMC: How has the technology improved? Wheaton: Both inputsgallons of water and kilowattshave gone down, which means the guns can create more cubic feet of snow with the same amount of energy. Beyond that, pumping efficiencies and compressed air technology in the guns themselves have also come such a long way. And the engineering has improved so much that the water particle actually explodes: you get more cubic feet of snow per particle of water. This means you get a bigger snowflake, which means better ski conditions. The more efficient guns are a sound business decision, but they are also the right thing to do for the environment. PCMC: Some people worry that snowmaking wastes water. Rock: This is a common misconception: it actually keeps the water in the watershed longer, releasing it back over an extended period of time. Wheaton: It essentially acts like a reservoir. Folks should also remember that we are making snow before the occupancy rates in town spike, so it isnt as if were diverting water that would otherwise be used to do dishes or wash laundry. 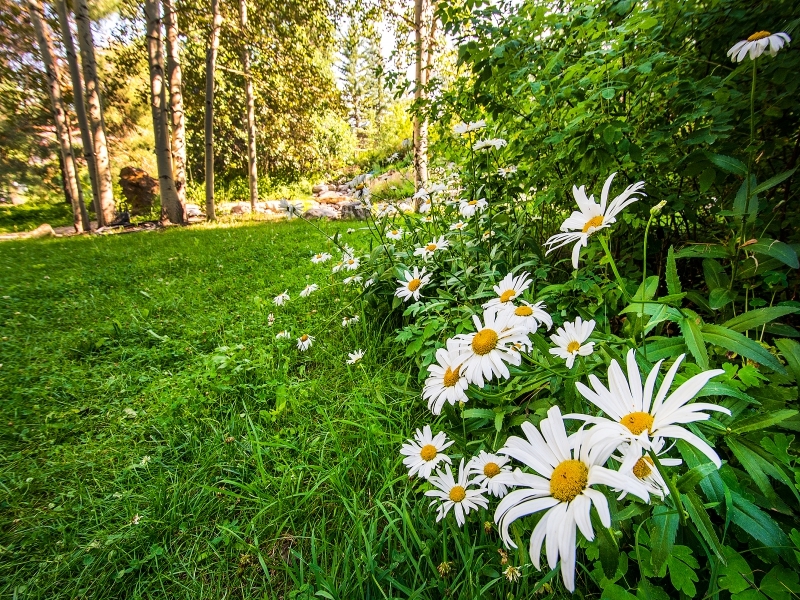 PCMC: Are you planning to relax in these few short weeks before things ramp up for summer? Wheaton: Were both going to Nashville next month for the NSAANational Ski Areas Association Conference. Shelbyville, which is the center of the Tennessee walking horse community, is only about an hour away. My wife and I are going tack on a few days to go horse shopping. Rock: And I think Ill tour the Jack Daniels Distillery while Im there. 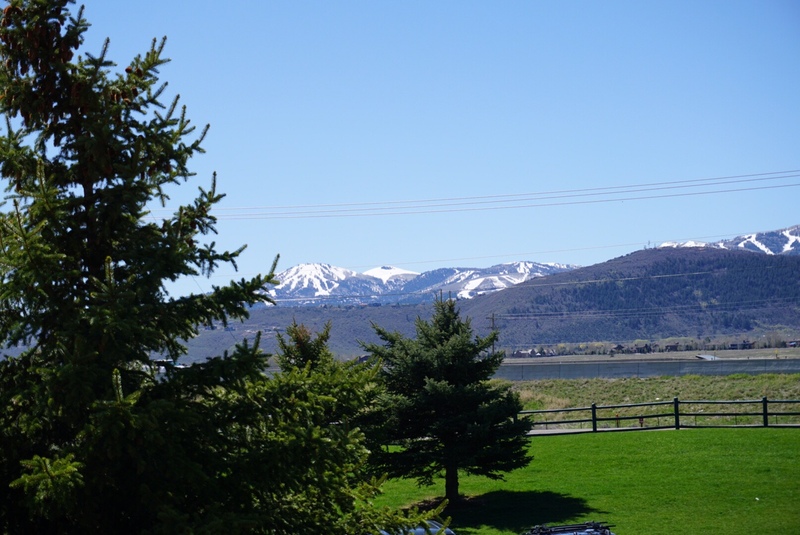 PCMC: Horses and whiskeytwo things Tennessee and Park City are both famous for. I cant let you leave without asking what your favorite locals runs are. Rock: Now that weve combined, people tend to gravitate toward the center of the resort, but I like skiing off Condorits fantastic. And with the Mother Lode lift being fast now, people are realizing that all that terrain under there had been under-appreciated. Its really good skiing. Its been especially fun for me as a newcomer, but I think everyone can rediscover some runs that may have been hard to access. Wheaton: For me, it depends on the day. On a powder day, I like Red Cloud lift. And, as far as groomers go, Steins Way. PCMC: Well, you cant go wrong on either mountain. Posted in Park City news | 0 Responses to "Were All in this Together"
Local Business Love - Exchange Etc. 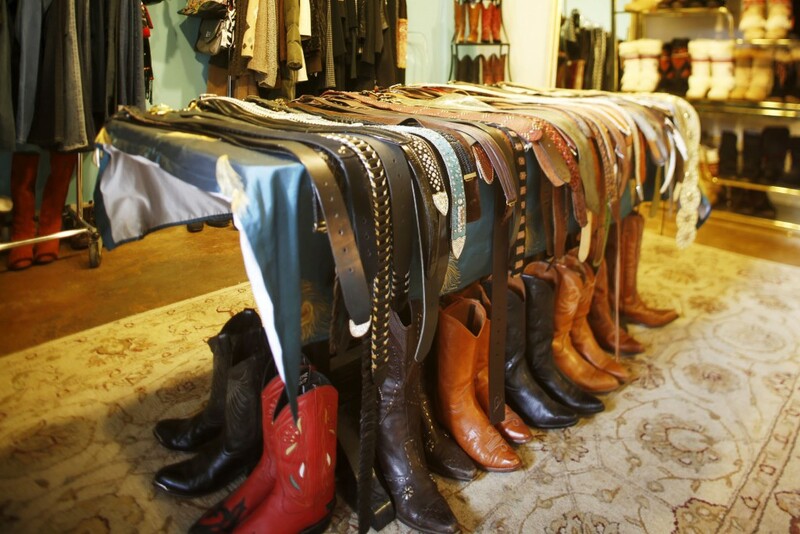 We're big fans of bobbles, belts, and boots. 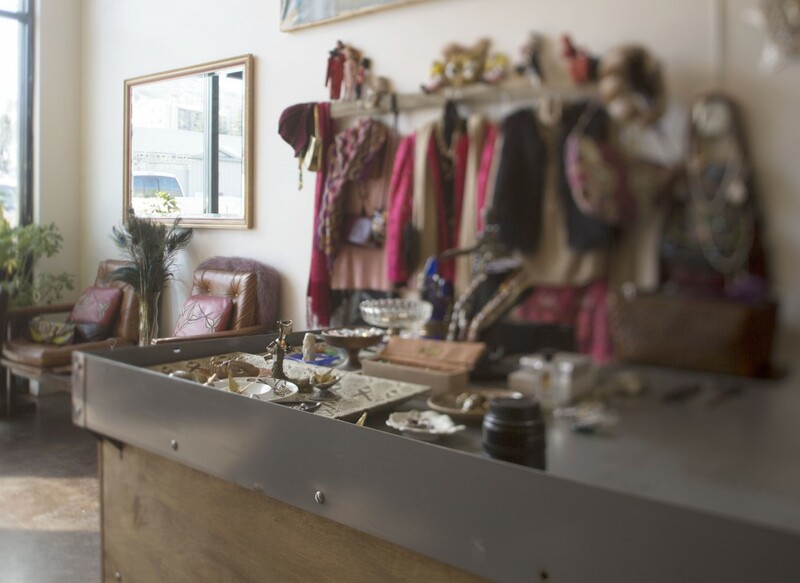 Exchange Etc...is an adorably curated consignment shop that ranges from sparkly flapper dresses to authentic cowgirl boots. 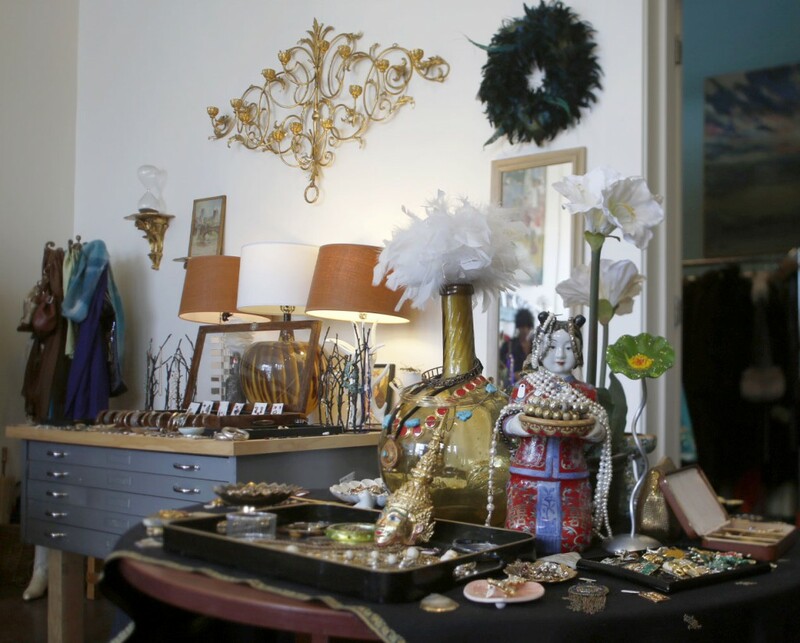 Even the space is right out of dreams of LouLou de la Failaise's boudoir. Lounge about on velvet Roman couches whilst dangling some pearls on under a fabulous floppy hat. 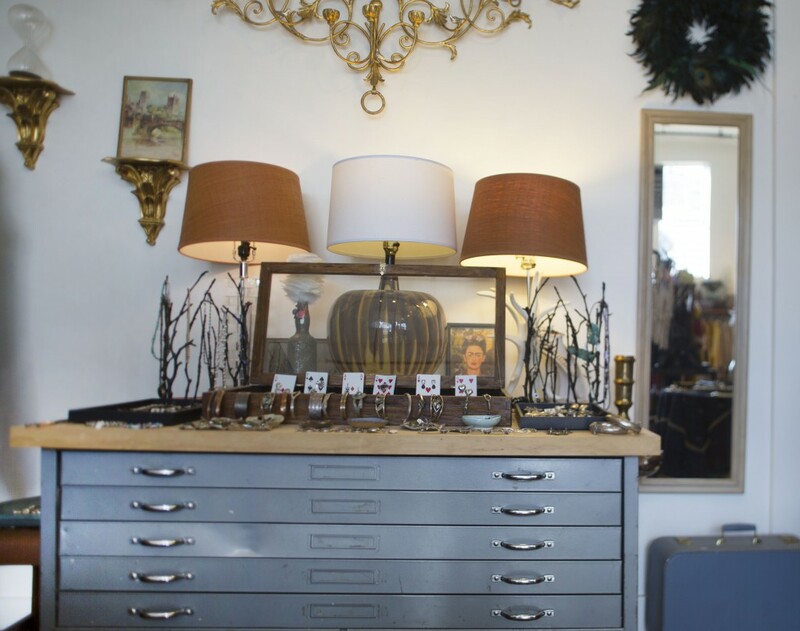 Part vintage treasure chest, part hippy clothing swap, part costume closet...it's just pretty fun with a romantic flair. So, stop in, change up your personality, get inspired for a theme party, and find that dream pair of Chanel block heels you never thought you could afford. 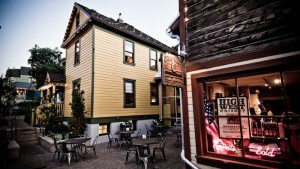 We love the businesses that keep Park City colorful. Thanks, Exchange! Posted in Park City lifestyle | 0 Responses to "Local Business Love - Exchange Etc." 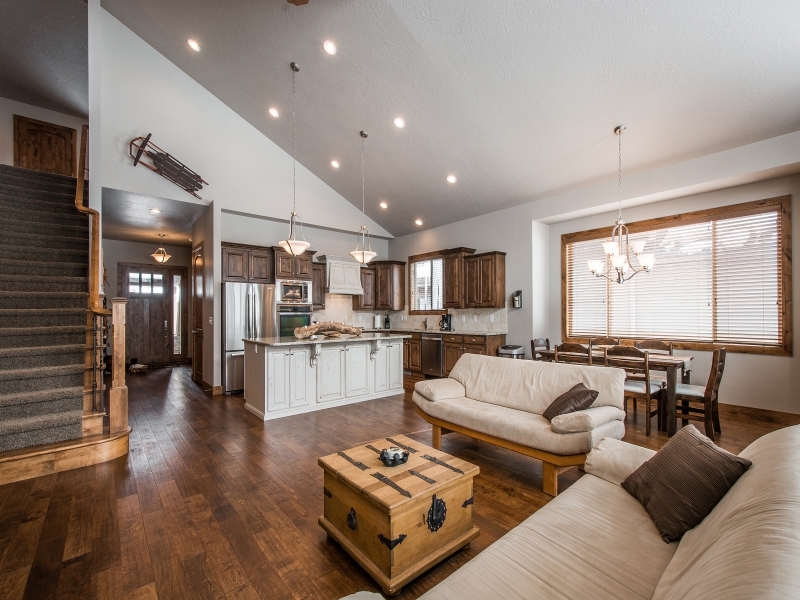 Reduction in Price at The Links at the Homestead! Newer construction with too many upgrades to name! 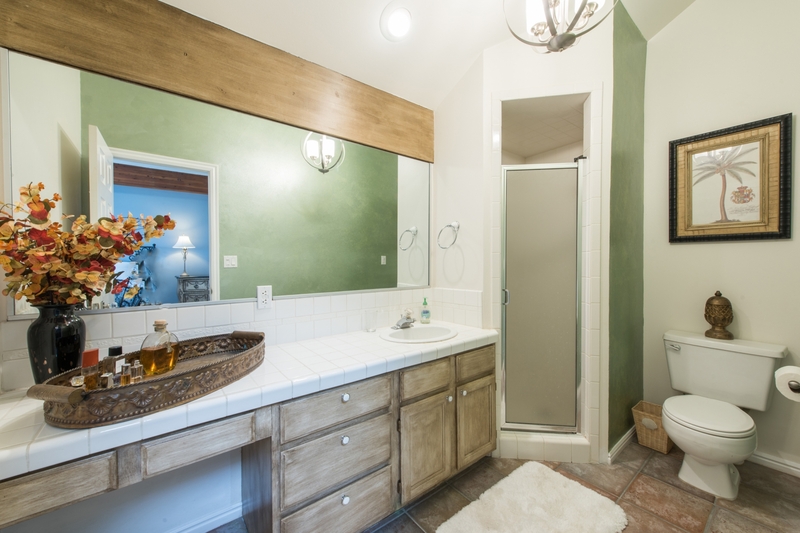 This four bedroom, five bath single family home is nestled perfectly in Midways Cervino neighborhood. 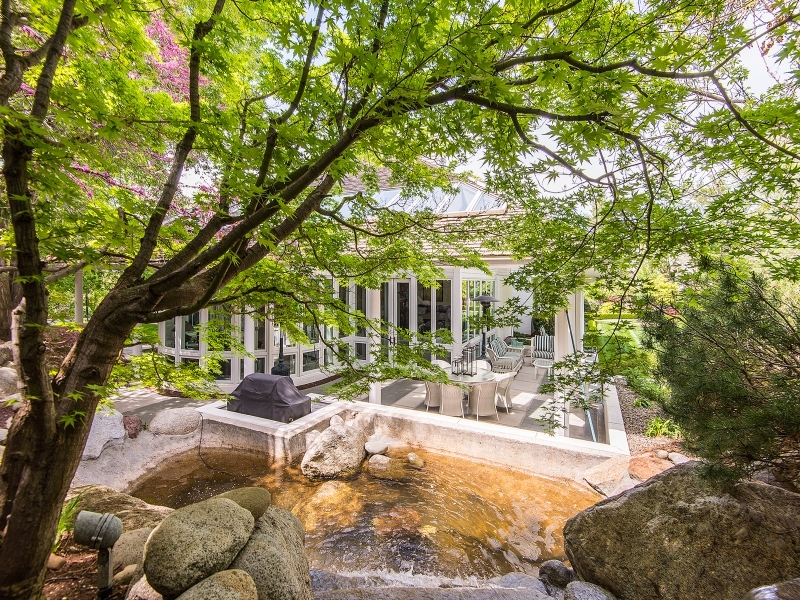 Babbling brook and grassy open space are located directly behind this home. 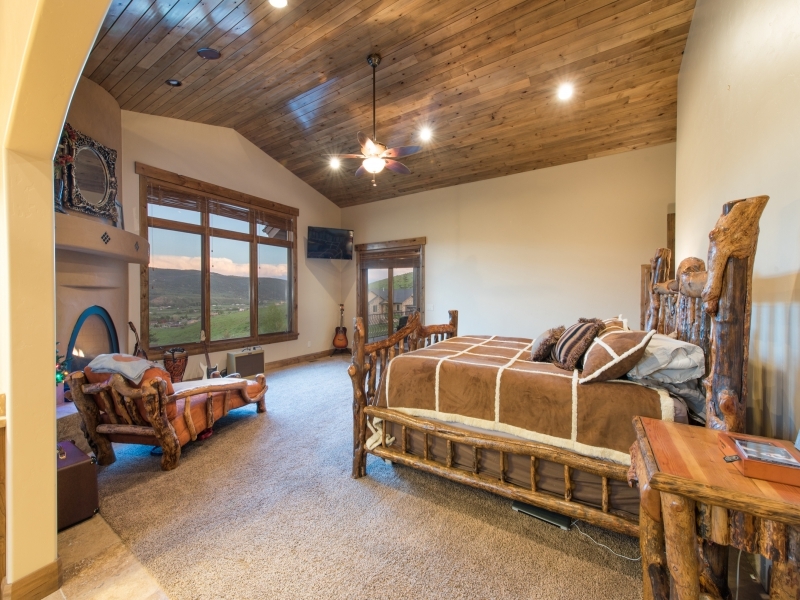 Master and another en suite bedroom located on main floor along with gourmet kitchen, great room, mud area off spacious garage, and laundry. 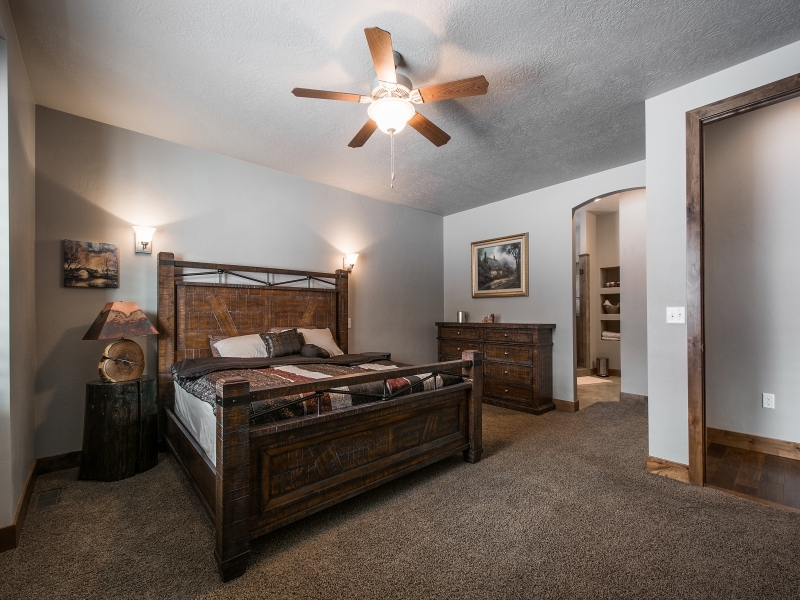 Upstairs are two more bedrooms and bathrooms flanking a fantastic loft area that serves as an ideal bonus room for TV, game room, etc. 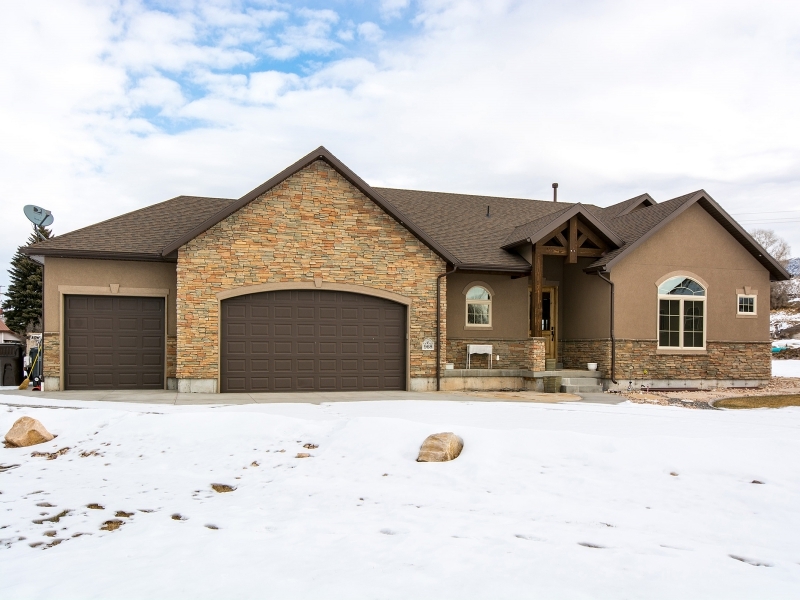 Finishes and features in this home are rich and high end mountain contemporary in style with solid doors and alder base and case throughout. 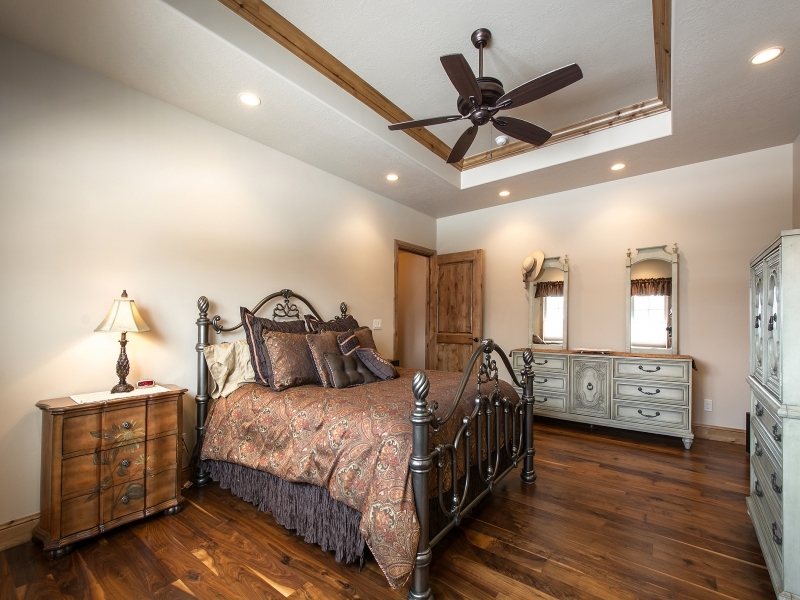 Stunning wood floors and impeccable tile work speak to the careful workmanship that went into this home. 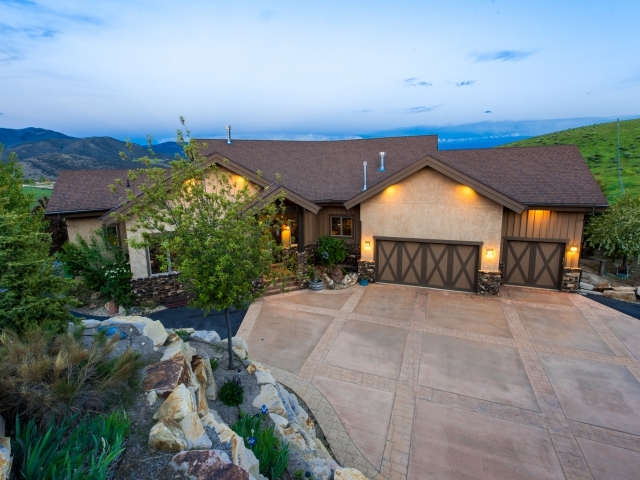 Phenomenal value for this high end home! 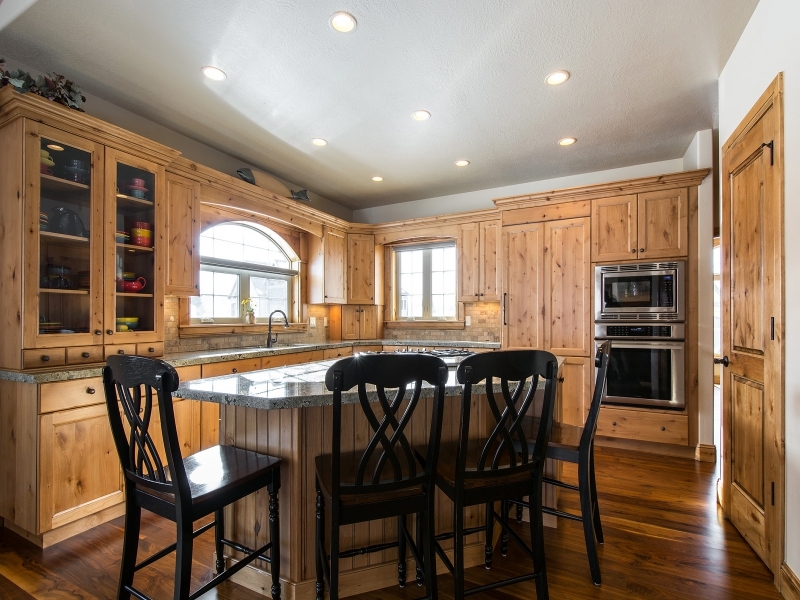 4 bedrooms, 4.5 baths, now reduced to $545,000! 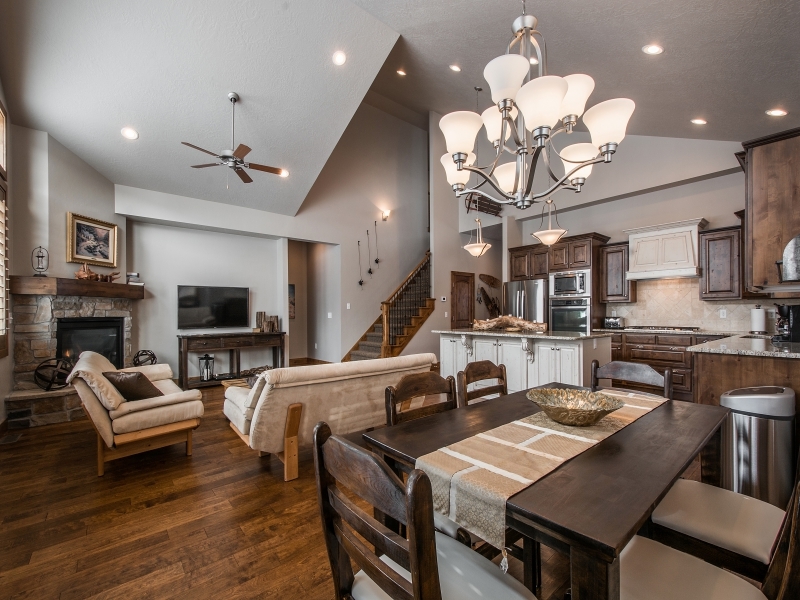 Posted in My listings | 0 Responses to "Reduction in Price at The Links at the Homestead!" 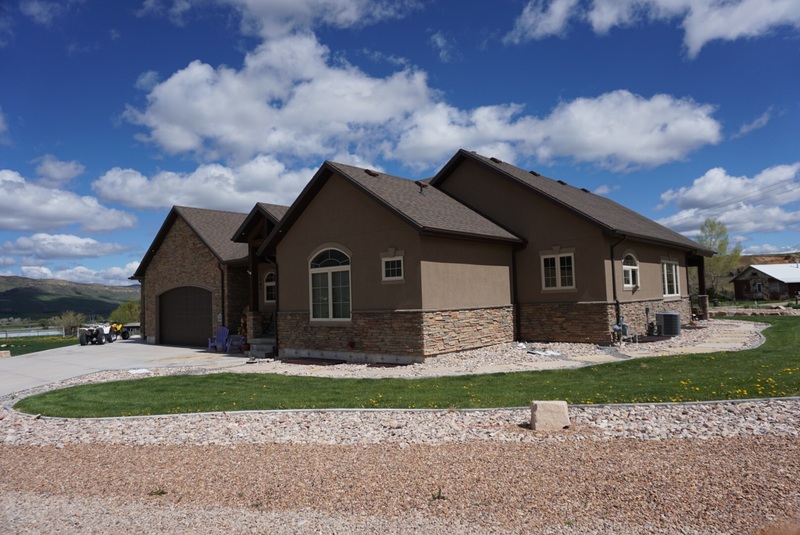 Custom Luxury Home in Coalville, Utah Under $500k!!! 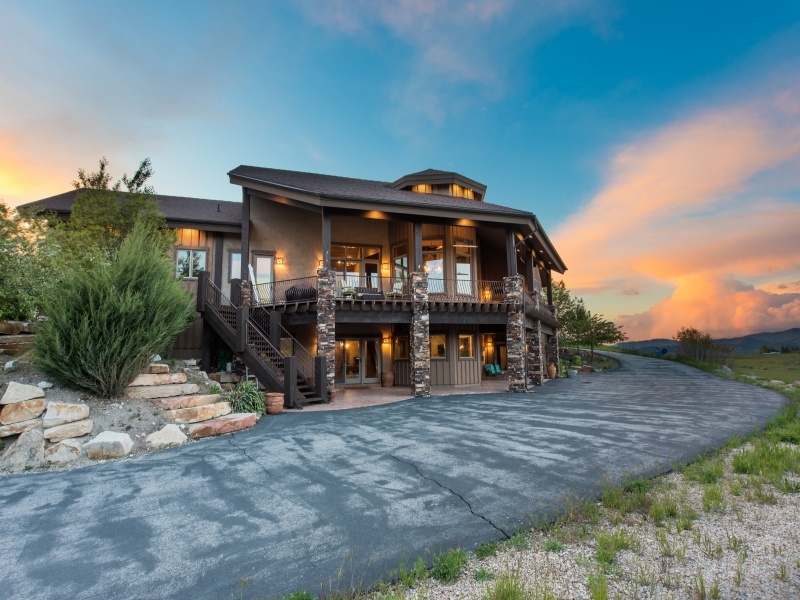 PRICE REDUCED on this incredible custom country home. 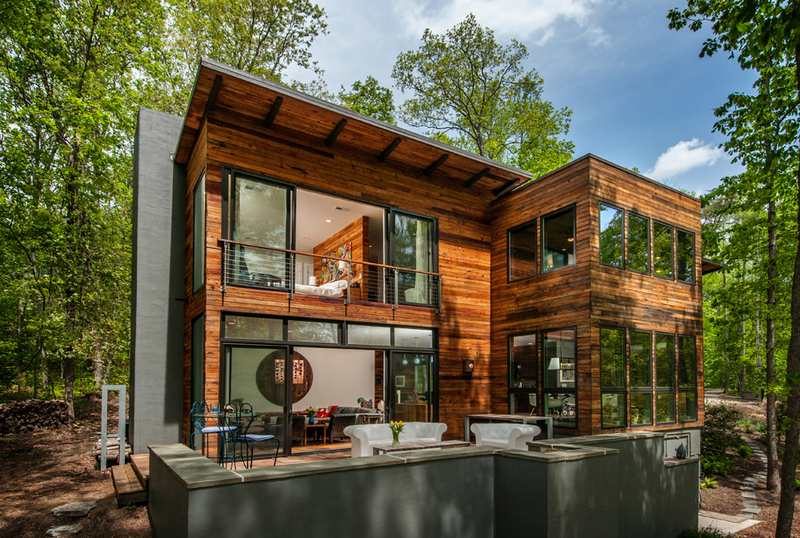 The upgrades inside are astounding for this price point. 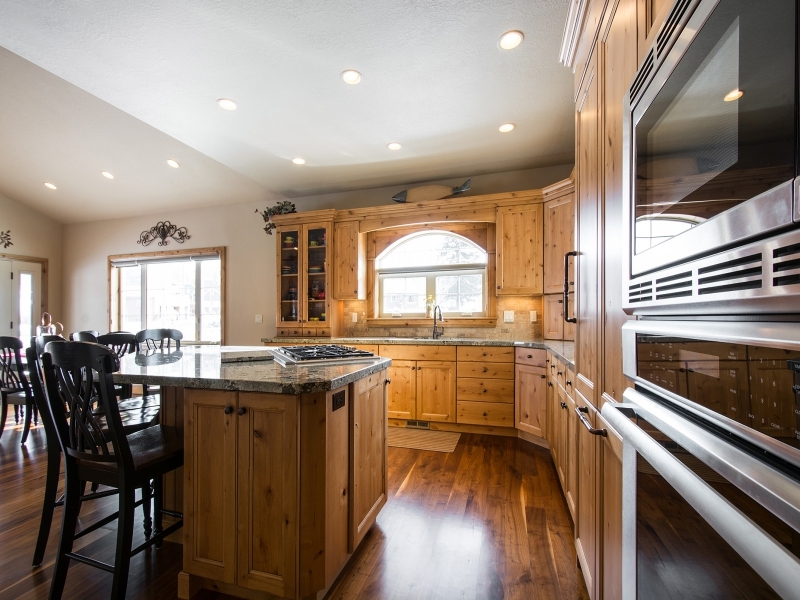 Reduced to $474,000! Situated in a high end, rural setting, this spectacular home was built with no feature or expense spared. 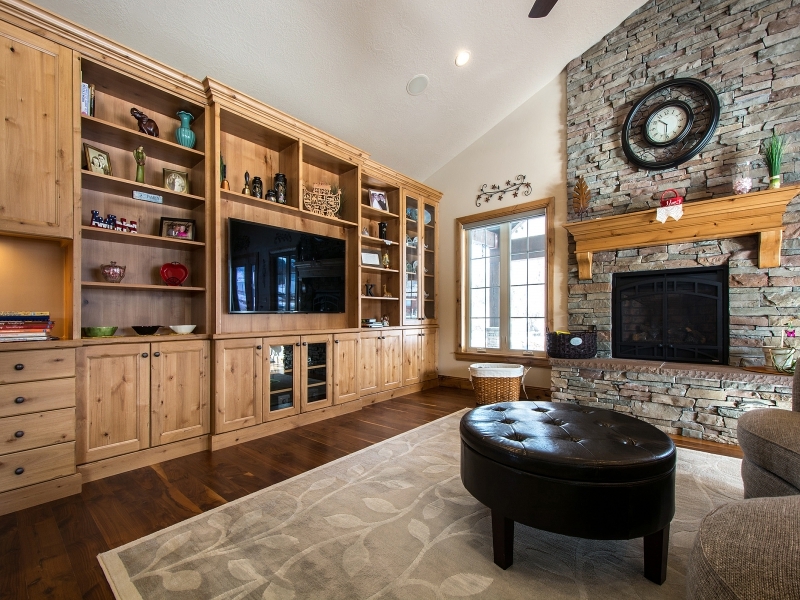 The rich, walnut flooring accents the natural stone & custom cabinetry found throughout. The home boasts a gourmet kitchen & great room which flow effortlessly outside to a enormous covered patio & adjoining yard with expansive drip system for beautiful in-ground & hanging vegetation. 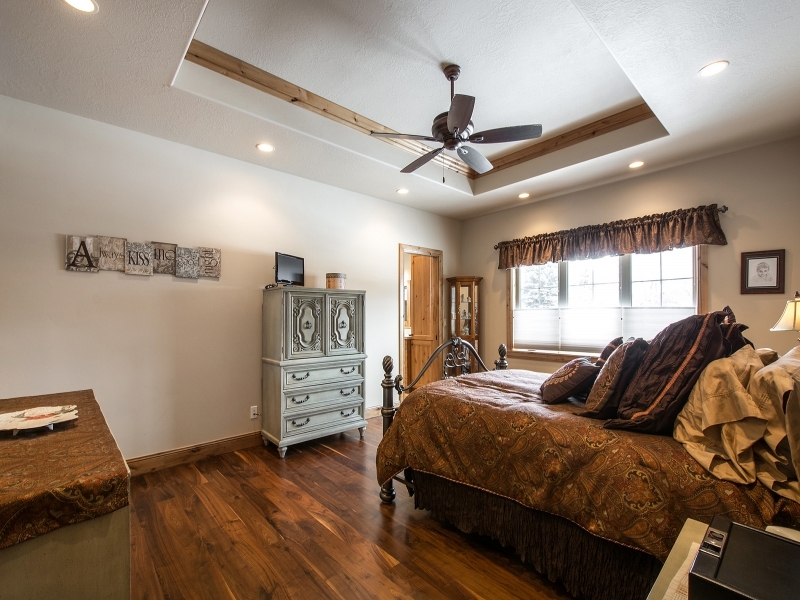 With the master suite, laundry, kitchen, office & guest room with convenient Murphy bed on main floor, this home is ideal for empty nesters looking for one level living or for a family with room to grow in the lower level. 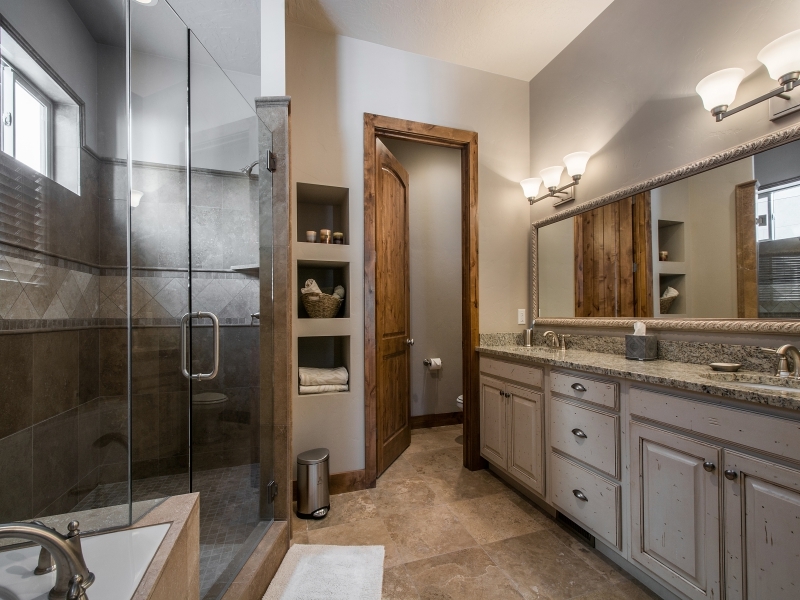 Built by a luxury custom home builder, this home is the epitome of craftsmanship & attention to detail. 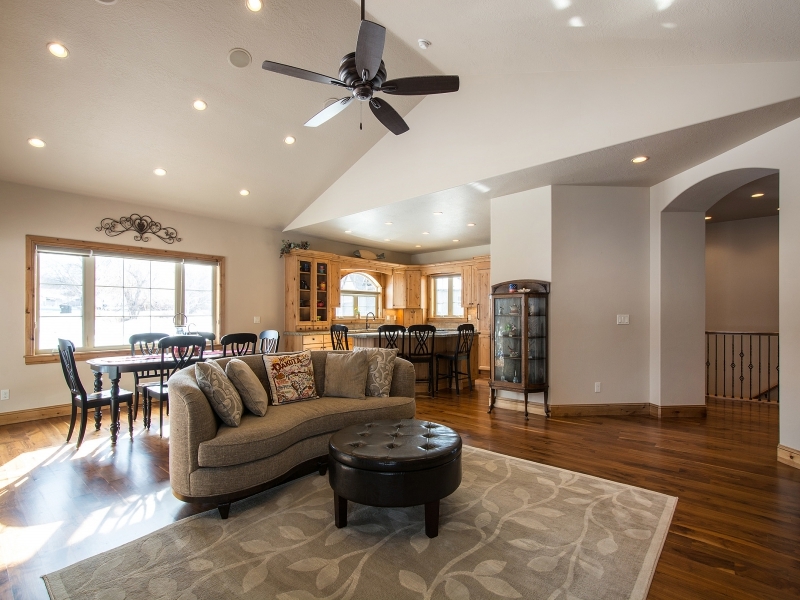 Posted in My listings | 0 Responses to "Custom Luxury Home in Coalville, Utah Under $500k!!!" 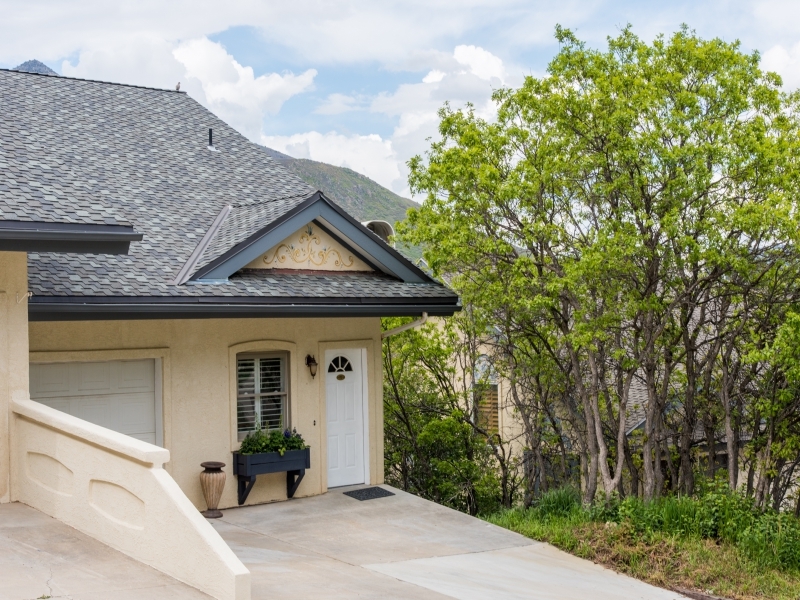 Posted in Uncategorized | 0 Responses to "April Calendar of Events"
Along the Wasatch front, rent is astronomically high while interest rates are still historically low; buying a home seems like a no-brainer. Yet Millennials have been slow to take on home ownership. Why the hesitation? There are several factors: A recession which brought with it high unemployment resulted in a massive number of foreclosures that attracted real estate investors... in droves. With more rentals available and fewer homes for sale, demand for rental properties increased and with it, skyrocketing rents. In addition, New college graduates looking for higher-paying, career-oriented jobs were sidelined by high unemployment and unprecedented student loan debt limited access to credit and reduced borrowing limits. Add it all up and Millennials are at a serious disadvantage. However, there are some fundamental tactics to help navigate the current real estate market and succeed in finding a home. DO YOUR HOMEWORK There is vital information you should know, but probably dont, about buying a home. Just because you dont know, doesnt mean you cant know. Check your creditThis is important! Ideally, you should have ample credit available and only a third of it used. Repairing damaged credit should begin at least 6 months before starting your home search. Evaluate Assets and LiabilitiesTrack your income and spending for a couple of months. Compare your earningpower and cost of living. Are you due a raise or can you live more economically? Unexpected feesDont forget to prepare for these fees: closing costs, property tax, HOA fees, life insurance, mortgage insurance, home insurance, utilities, maintenance, etc. Figure out your down paymentOnce you know how much you can borrow, unexpected costs, and your spending limit, you can figure out a down payment that will keep your monthly payment comfortable. 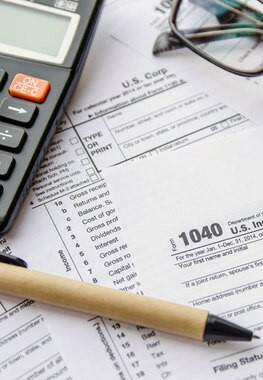 Organize documentsYour lender will need 2 most recent pay stubs, the previous 2 years W-2s, tax returns and the past 2 months of bank statements. Knowing what you need and where to find it will save you time and effort. CONSIDER YOUR OPTIONS There is dramatically low inventory of starter homes and prices are rising. Many homes are receiving multiple offers which creates challenges for first-time buyers. Increase your chances of finding a suitable property by considering some alternatives. Go smallerA smaller home, a smaller lot size or a lower cost neighborhood can reduce your costs. 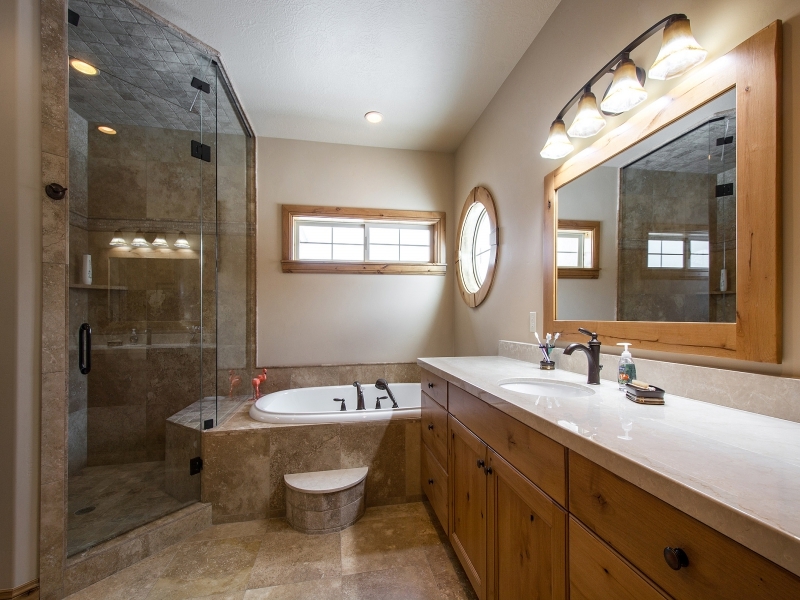 Take on a projectHomes in need of updating, cosmetic improvement or a manageable degree of repairs are typically cheaper and in less demand. Share the costA duplex or a home with an apartment will allow you to cover your mortgage by renting out one of the living spaces while living in the other. Save money while building equity and when you are ready to move up you can either rent or sell the property and apply the profit to your new home. MORE TO CONSIDER Interest rates are at historic lows, and first-time buyer programs, (featuring low or no down payments) are currently plentiful in the industry. With home values rising faster than salaries and comps, a lower home appraisal can be a bargaining chip to reduce the cost of your new home, even in this competitive market. Posted in Uncategorized | 0 Responses to "First Time Home Buyer Challenges and Tricks"
*All information pertains to 2015 single family attached and detached properties and was provided by the California Desert Association of REALTORS® and Desert Area MLS, Gallatin Association of REALTORS/Southwest Montana MLS, Aspen Board of REALTORS® MLS, Park City Board of REALTORS® MLS and Berkshire Hathaway HomeServices Colorado Properties 2015 Vail Valley Market Trend Report. Posted in Park City lifestyle | 0 Responses to "US Resorts by the Numbers"
Do Downtown SLC Like a Local! Home of the recently dubbed Silicon Slopes (IT, software development, hardware manufacturing, and research firms along the Wasatch Front), Salt Lake City is a pretty big deal. The Downtown area offers a plethora of entertainment, culture and diversion for every lifestyle and interest. Explore Salt Lake City and find out why YOU love it. Getting Around On Foot The downtown area of Salt Lake City is very pedestrian friendly and the grid layout of the streets makes it easy to navigate. Public Transportation Within the downtown area, UTA allows passengers to ride both the bus and the train at no cost: The free fare zone is the area within the State Capitol to the north, 200 East, 500 South and Salt Lake Central Station to the west. Car The citys grid layout and ample parking places make navigating downtown by car easy. Places Temple Square The three-block plaza presents nearly 20 attractions related to the Church of Jesus Christ of Latter-day Saints. Anchored by the majestic Salt Lake Temple and other fascinating buildings like the expansive Tabernacle and the Gothic-style Assembly Hall. Stroll through scenic gardens and past the gurgling fountains. Abravanel Hall Home of the Utah Symphony & Opera and host to many other concerts. The excellent acoustics are praised by musical experts as among the finest of any modern concert hall. Capitol Theatre A landmark in downtown Salt Lake since 1913, it is known today for its elegant turn-of-the-century architecture and serves as the home for Ballet West, Utah Opera, Childrens Dance Theatre, and Broadway Across AmericaUtah. Rose Wagner Performing Arts Center With its three theatres, studio spaces, permanent art installations, and rotating art gallery, the Rose Wagner Performing Arts Center is a performance hub for Salt Lakes artists and performing arts companies. The City Library Plaza The 240,000-square-foot library features a 6-story walkable curving wall and a rooftop garden. Inside are shops and a cafe at ground level and reading galleries above, with spiraling fireplaces on 4 levels, abundant natural light, and magnificent views. The plaza has a reflecting pool and fountain. The Leonardo at Library Square The Leonardo has created an innovative, dynamic space that ignites the imagination of visitors of all ages and inspires them to see the world in a new way. Gallivan Center The Gallivan Center features an expanded grassy amphitheater, a huge ice rink, a unique array of art projects and a two-story, copper finished, banquet, party and meeting facility. Clark Planetarium 10,000 square feet of free exhibits and the Orbital ATK 3D IMAX® Theatre or Hansen Dome Theatre. The Depot The Depot is home to Utahs best indoor concert scene. In addition to live music, The Depot has also become a favorite location for corporate events, meetings, weddings and more. Shop City Creek Center Salt Lake Citys premier shopping and dining destination was recently awarded Best Retail Development in the Americas. This unique shopping environment features a fully retractable glass roof, hourly fountain shows, waterfalls, and a sparkling creek that runs through the entire project. Entertainment and Adventure Amazing Scavenger Hunt Adventure Turn Salt Lake City into a giant game board with this fun scavenger hunt adventure. Combine the excitement of the Amazing Race with a three-hour city tour. Start when you want and play at your pace. Ballet West Ballet West boasts a rich and varied repertoire, elegant and versatile artists and an American style and legacy that is as dynamic, expansive and unexpected as the Rocky Mountain region it represents. Ballet West has toured the world several times over presenting the very best in American classical ballet. Modern West Fine Art Modern West Fine Art is a western art gallery with a modern vision. Representing over thirty world-class contemporary artists from across the country. Eat Nauvoo Cafe The Nauvoo Cafe is located on the corner of South Temple and Main Street in the Joseph Smith Memorial Building, in Downtown Salt Lake City. The cafe has fast service take-out with a great view of Main Street Plaza and Historic Temple Square. J. Wongs Asian Bistro Located in the historic Patrick Lofts building and just steps away from the Salt Palace, J. Wongs offers downtown diners fresh and sophisticated Thai and Chinese cuisine in a stylish, contemporary setting. The menu honors the traditional dishes and modern interpretations. The Melting Pot An unforgettable fondue experienceattentive service, fine wines, highest quality of fresh ingredients, a variety of entrée cooking styles, unique sauces, cheese fondue, and chocolate fondue. Blue Iguana Featuring authentic flavors from deep in the heart of Old Mexico, our Blue Iguana Chef of over 17 years, Manuel Castillo takes great pride in the constant refinement of generations of Aztec family recipes. Located just east of the Salt Palace Convention Center on West Temple. Spencers for Steaks & Chops Spencers for Steaks and Chops of Salt Lake City is the ultimate steakhouse. Featuring USDA prime grade steaks that are aged for 21 days, hand cut and seared to perfection in our 1600 degree broiler. Caffe Molise Fresh fish, grilled meats, pasta, salads, and decadent desserts. Excellent wine list and full bar. Garden patio seating and private dining room available. Reservations accepted. Legends Pub & Grill Kick back and watch your favorite games on our big screens while you enjoy an awesome meal and our full bar. Stop by anytime for the best food and sports in town or call to reserve space for your group. Posted in Uncategorized | 0 Responses to "Do Downtown SLC Like a Local!" 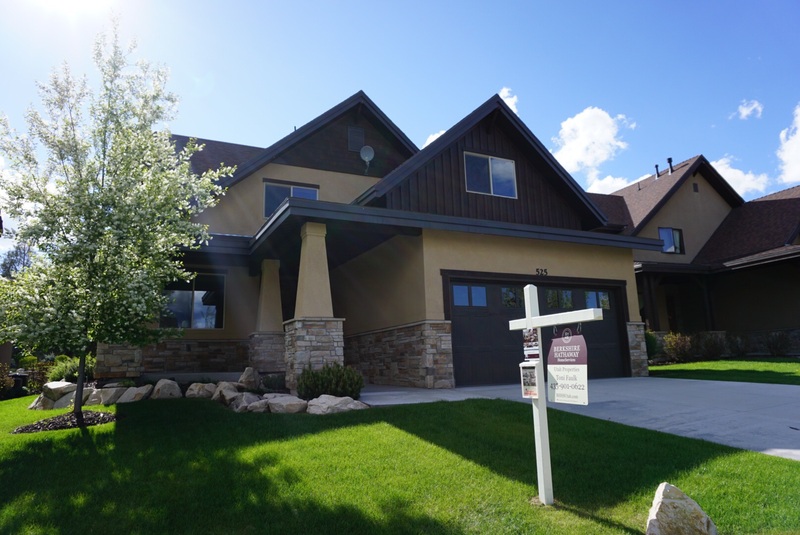 Posted in Uncategorized | 0 Responses to "BHHS Utah tips: Real Estate and Taxes"
Friends and clients of Berkshire Hathaway HomeServices Utah Properties have been pre-approved for a complimentary lifetime membership in 3RD HOME, valued at $2,500. Additionally, you will be upgraded to the Presidents Club level for 1 year  a total savings of almost $3,000! Sign up at www.bhhsutah.3rdhome.com/signup. 3RD HOME is a private club for the owners of luxury second homes. With an average property value over $2.4 million USD, over 5,300 properties and growing, and endorsements from the top luxury residential and resort brands, 3RD HOME enables vacation home owners to travel the world staying in premier places without paying rental rates ever again. It was created to fill a need expressed by second home owners to find a safe and trustworthy way to expand the use of their second homes without the hassle or expense of renting them out. 3RD HOME enables you to exchange time in your home for stays at other premier luxury destinations worldwide. By depositing weeks at your vacation home into the club, you can reserve another great home any time in advance or at the last minute. There are hundreds of desirable destinations to choose from. The scale and quality are unprecedented. Many homes even come from the top branded destination clubs and real estate developments that endorse 3RD HOME for their owners. What makes 3rd Home Unique? 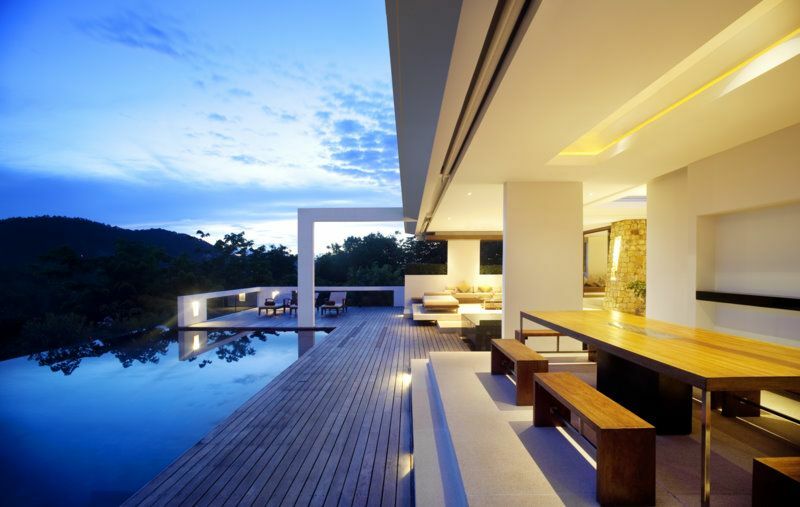  There are over 5,300 luxury properties in 74 countries to choose from with an average value of $2.4 Million USD.  Access to homes in over 1,000 different cities.  We are affiliated with many of the worlds leading luxury residential developments in addition to private homes valued at up to $30 million USD.  Youll be a lifetime member with NO annual dues!  No direct or simultaneous exchanges with other members are required as with traditional home exchanges.  The proprietary Keys system gives our members immediate access to every available property.  Our secure web platform allows 24/7 booking of reservations and notifications on properties you are watching.  The Request a Week function expands availability beyond what is listed on the site.  Pre-screening of member homes, plus host and guest feedback on every trip, ensures a premium experience. Keys are the currency of 3RD HOME. 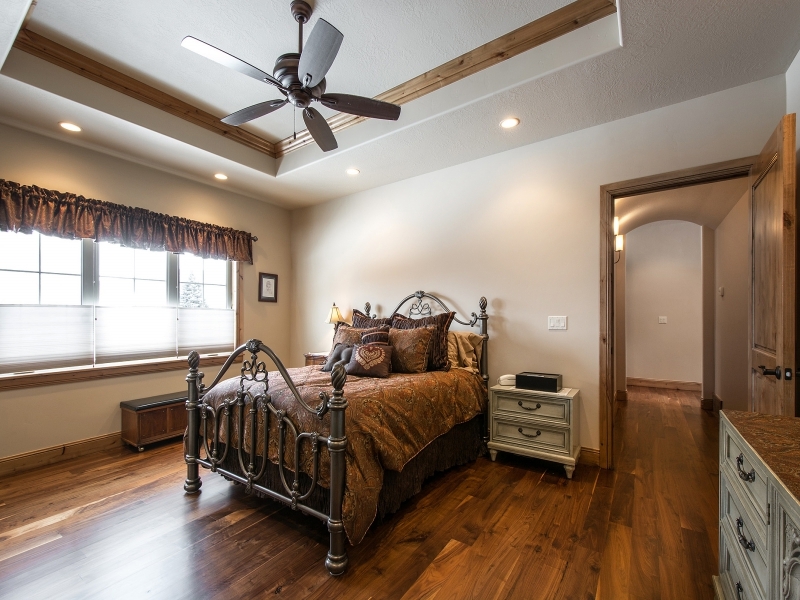 When you list your residence on our site, we take into account your homes current market value, with an adjustment made based on location and the home itself. Youll earn Keys by depositing weeks at your residence into the club for other members use. Plus, you will earn Double Keys when you deposit a Peak week, and Triple Keys when you deposit a Super Peak week! When you join 3RD HOME, youll list your own private vacation home on the site indicating its value, location, adding pictures and other details. Next, youll select weeks that you agree to make available exclusively for other members. 3RD HOME will credit you a number of Keys for each week(s) that you choose to deposit based on the desirability of those weeks. Ready to take a trip? Trade your Keys for a stay at another members property! 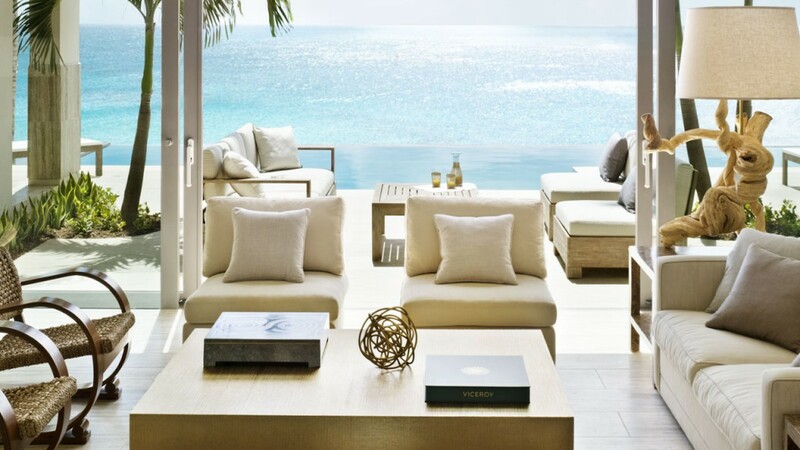 You can begin booking immediately simply select an available week at any of our luxurious properties, pay the nominal exchange fee ($395- $995 USD), and receive immediate confirmation. There are no rental fees for any property on the 3RD HOME site! 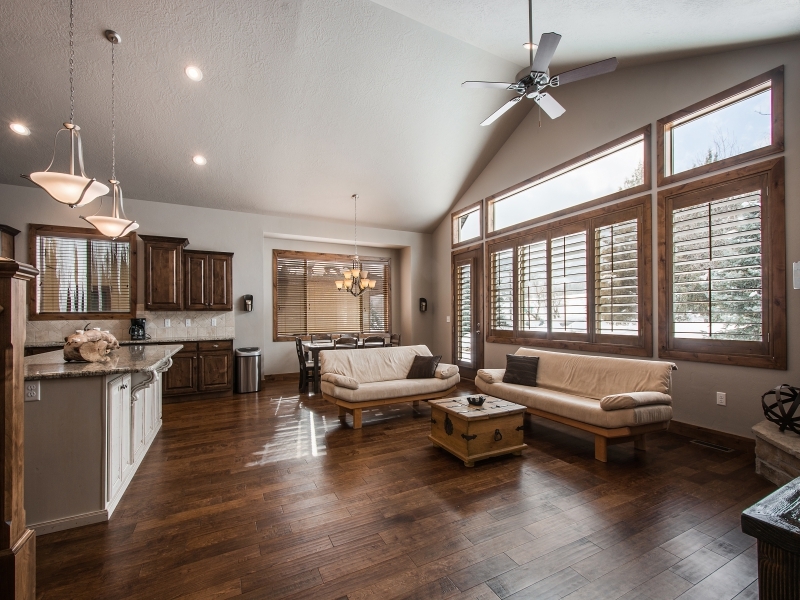 Posted in Uncategorized | 0 Responses to "3rd Home - Travel Club for Luxury Second Homeowners"
White Pine Touring is a staple provider of Park City recreationalists. 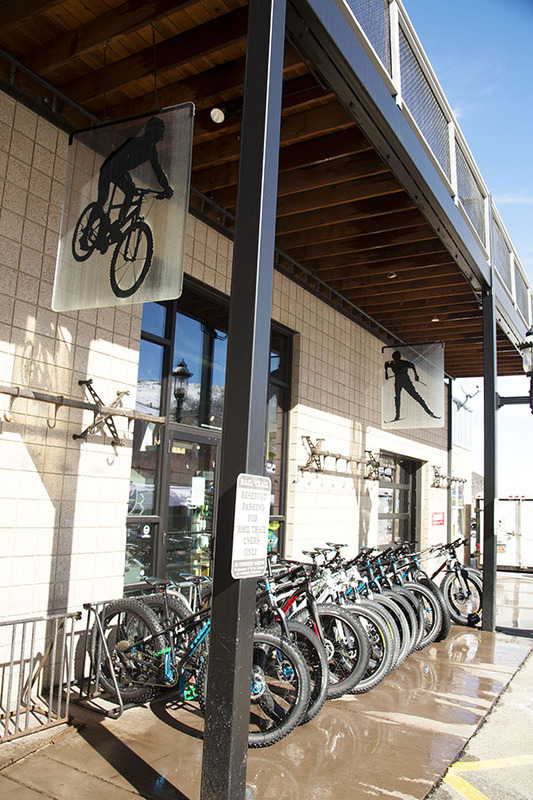 From Backcountry ski set-ups, to fat tire bikes, skate ski gear, helmets, alpine boots, mittens, backpacks, and all things merino wool, this locally-owned garage has you covered. 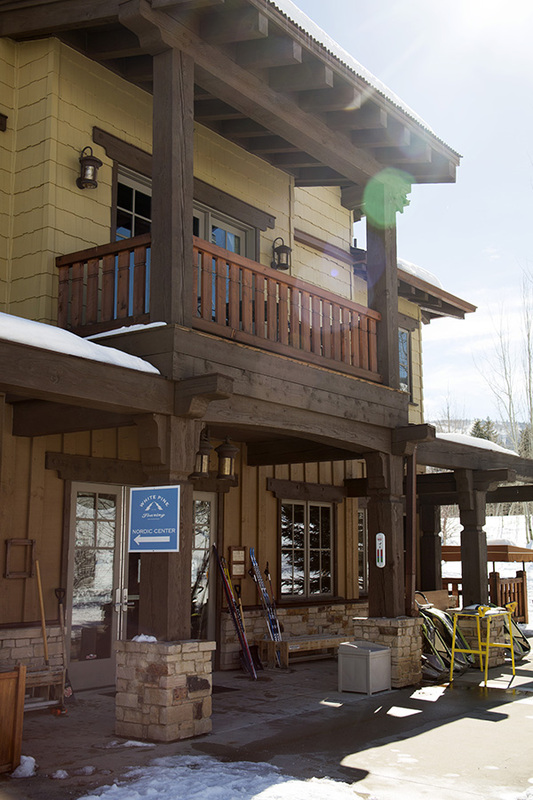 Beyond gear, White Pine maintains a beautiful skate and cross-country ski track on the Park City golf course that offers lessons and rentals for first timers. Additional offerings include guided snowshoeing, ski touring, avalanche safety classes, rock climbing, etc... If you're looking to expand your adventure horizons and find news ways to play in the mountains, you should probably stop by...get your skis tuned while you're at it. Posted in Park City lifestyle | 0 Responses to "Local Business Love - White Pine Touring"
Posted in Things to do | 0 Responses to "March Events along the Wasatch Front"
After a busy winter of hosting bobsled, skeleton and luge World Cup contests, the Utah Olympic Park is hosting a North American Cup this week as one of its final events of the 2016 winter season. 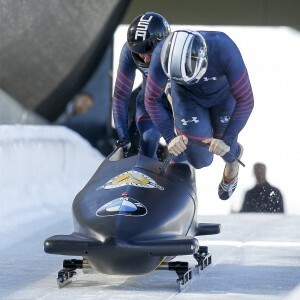 This weekend, bobsled athletes from the United States, Canada, South Korea, Jamaica, Australia, Brazil and New Zealand will compete in Park City, gunning for points that will help them move up to the World Cup level. The bobsled competitions are scheduled for Saturday (men's and women's two-man races), Sunday and Monday (four-man events). Saturday's races start at 10 a.m., Sunday's kick off at 3 p.m. and Monday's begin at 11 a.m.
Next weekend, it will be the skeleton athletes' turn to slide, with men's and women's competitions on both Friday and Saturday, March 4 and 5. The North American Cup features a unique mix of young and established athletes. "The Utah Olympic Park is pleased to host a mixture of up-and-coming athletes, as well as experienced athletes that are looking gain more experience on international tracks, in this North American Cup," UOP Marketing Manager Melanie Welch said. With only one World Cup event in Park City, many athletes compete on the NorAm tour to try to get in a few more runs on the 2002 Olympic track. Some athletes, such as the South Koreans, are trying to build up points for a run at the 2018 Olympics, which will be held in PyeongChang, South Korea. Leading the U.S. lineup for the men's bobsled events are drivers Codie Bascue and Justin Olsen. Bascue competed on the World Cup tour last season, but raced only in Lake Placid's World Cup this year, where he and Hakeem Abdul-Saboor finished 11th in the two-man race. Olsen raced at the St. Moritz, Switzerland World Cup this year with Sam McGuffie, finishing 21st overall. Bascue also drove a four-man sled in both Park City World Cup races this year, finishing 19th and 13th. He finished 15th in the Lake Placid event. On the women's side, driver Katie Eberling leads the way for Team USA. Eberling will pilot a two-man sled with brakeman Kristen Hurley at the Park City event. The final North American Cup event of the season begins on March 7 in Lake Placid, New York. All of the NorAm Cup events at the UOP bobsled and skeleton track are free to the public. For more information, visit www.utaholympiclegacy.com. Saturday, Feb. 27 -- Men's and women's two-man bobsled -- 10 a.m.
Sunday, Feb. 28 -- Four-man bobsled -- 3 p.m.
Monday, Feb. 29 -- Four-man bobsled -- 11 a.m.
Friday, March 4 -- Men's and women's skeleton -- 10 a.m.
Saturday, March 5 -- Men's and women's skeleton -- 10 a.m.
Posted in Park City lifestyle, Park City Utah events, Park City news | 0 Responses to "NorAm Cup comes to Park City"
You dont need to be in a big city to drink quality, locally-sourced booze. More and more craft distilleries are popping up in mountain towns. Whiskey aficionado David Perkins ditched a career in biotech in Silicon Valley to move his family to Park City to open Utahs first legal distillery since prohibition. High West Saloon, which opened with a ski-in, ski-out location at the base of Park City Mountain Resorts Town Lift in 2007, is known for their small-batch whiskey and a rare breed of high-altitude vodka. 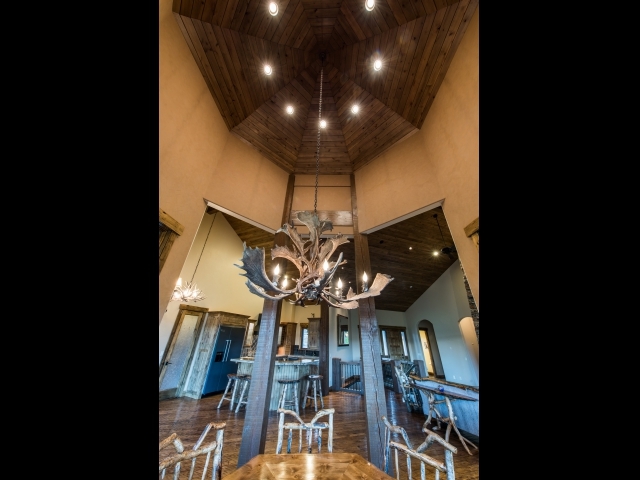 Last year, they opened a new distilling facility called Big Sky on a cattle ranch outside of Park City. 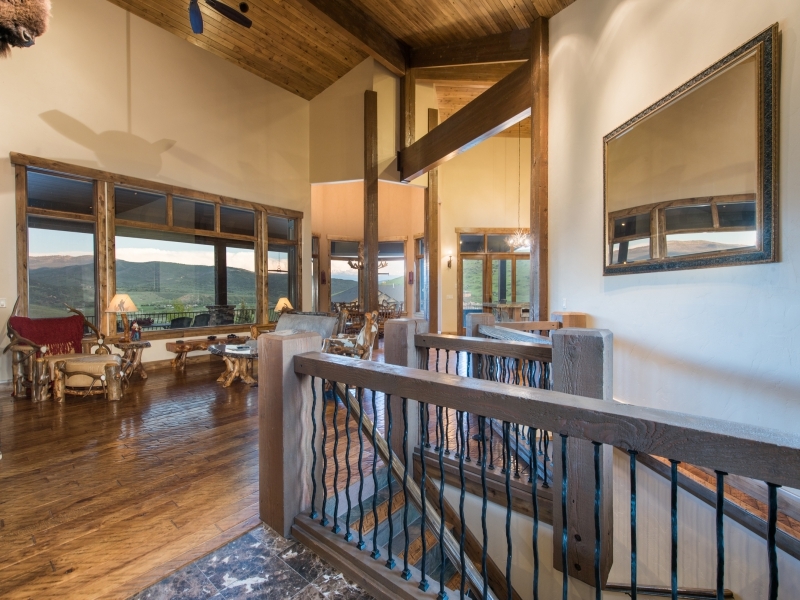 Posted in Park City lifestyle | 0 Responses to "The 6 Places to Sip Whiskey (and Rum and Vodka and Gin) in the Mountains"
Posted in Park City Utah real estate, Park City lifestyle | 0 Responses to "You're welcome." 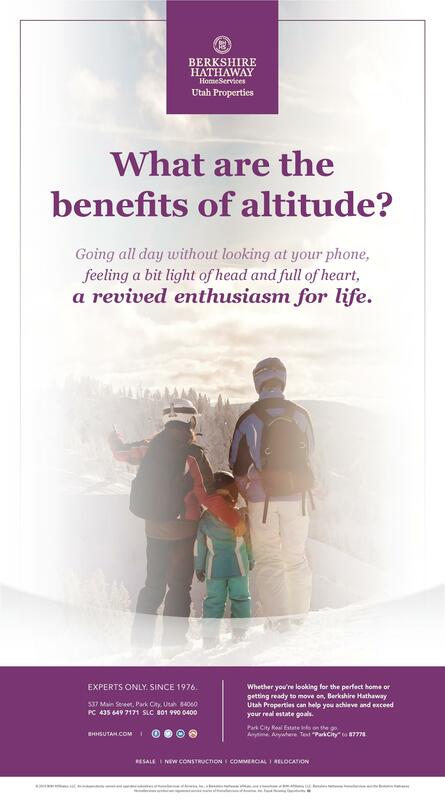 Because with 7,000 acres of world-class slopes, you won't want to waste a minute. Big changes have swept Park City, the Utah ski town best known for powdery peaks and its history as a Western mining town. 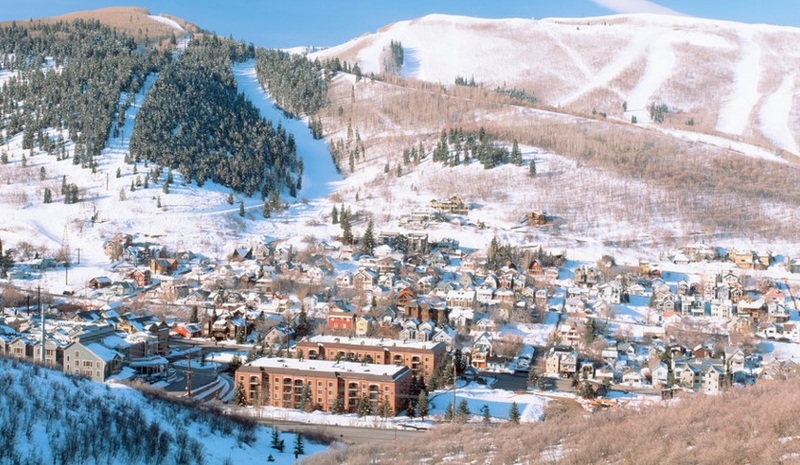 Since 2013, Vail Resorts has been acquiring Park City ski resorts, including the recently renovated Canyons and, in 2014, Park City Mountain Resort. In November, Park City Mountain Resort was officially connected with Canyons (now Canyons Village) by way of the swift Quicksilver gondola, which swoops back and forth between the two properties in only nine minutes. Now, Park City is home to the countrys largest ski resort, with more than 7,000 acres of Olympic-worthy ski slopes that can see as many as 355 inches of fresh snowfall a year. 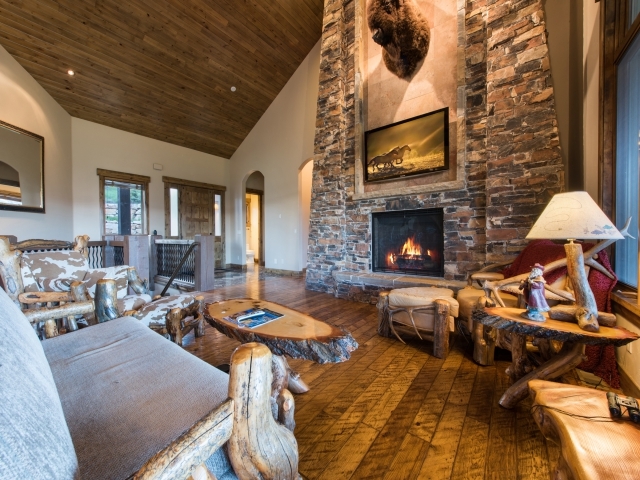 To make the most of this enormous destination, which can be enjoyed with a season-long Epic Pass to all Vail properties and has seen $50 million in upgrades and additions, we spoke to Paul Marshall of Ski Utah. With his insider know-how (like those little-known corners of the mountains with the best snow in Park City), Marshall shared an action-packed 12-hour itinerary for the perfect day in the new Park City. Ready to hit the slopes? Here is your guide. 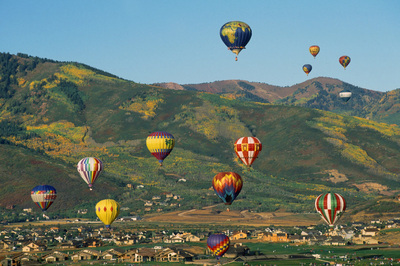 Posted in Park City lifestyle | 0 Responses to "12 Perfect Hours in Park City, Utah"
Posted in Park City Utah real estate, Park City lifestyle | 0 Responses to "Benefits of Altitude"